Rick and I invite you to join us on our long awaited trip to Australia and New Zealand in March, 2019. We will be sailing on Royal Caribbean's Ovation of the Seas for a 13 Night Cruise departing Sydney, Australia on March 8 cruising to see all the incredible sights in New Zealand and returning to Sydney on March 21st. Australia and New Zealand are two of the most requested destinations. This is understandably so. 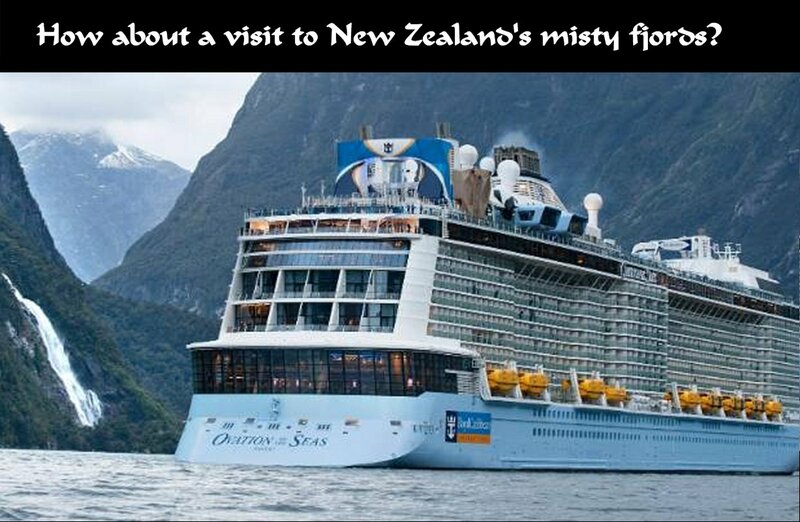 As one can see, the cruise part of our trip is mostly New Zealand with its spectacular natural beauty. Staggering mountains, lush waterfalls, and pristine marine preserves are among our New Zealand destinations. If you are a nature lover, this is the trip of a lifetime for you! 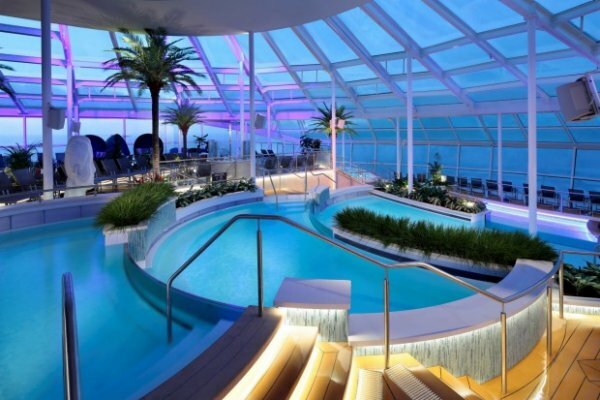 This cruise is definitely on my bucket list and I know others within our Travel Family agree. This is not to say we are neglecting Australia. Using Sydney as both the embarkation and disembarkation port, each guest has the opportunity to add a 'pre' cruise or 'post' cruise land trip to visit Australia's interior. Now that we have traveled this far, Rick and I definitely intend to take advantage of this rare chance to see Australia. Please note Australia and New Zealand are 1,200 miles apart. 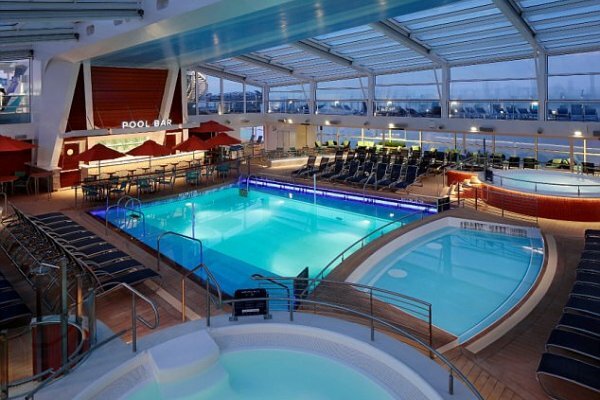 This will give us four wonderful days at sea to dance and party just as hard as we possibly can. The combination of two incredible destinations, sailing on one of Royal Caribbean's finest ships, the phenomenal value offered, and great friends guarantees this trip will be equal to our terrific 2016 Greek Isles Cruise... and maybe even better! This trip is so impressive that I have had 24 people sign up before Rick even announced the trip in his Newsletter. Please come join us and share in our adventure! 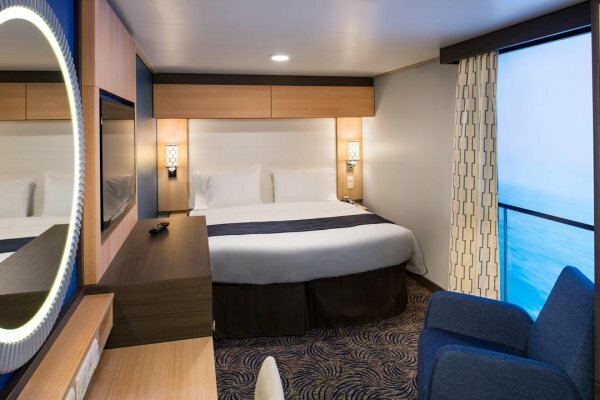 A Word to the Wise: Since I have a limited amount of group space and my rates are considerably lower than Royal Caribbean's prevailing rates, sign up now. 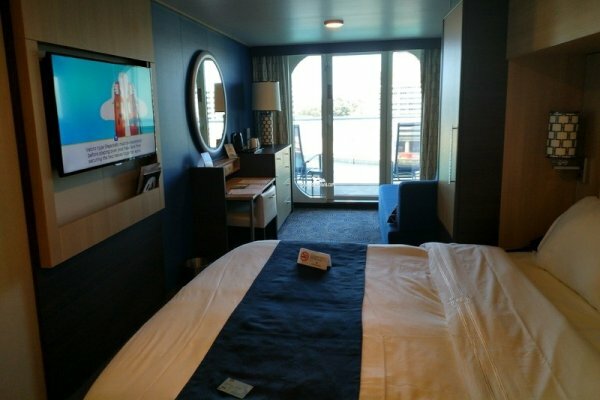 If you know this is something you want to do, be smart and take advantage of the lower rate and get a great stateroom location. Do not pay more unnecessarily. Nor is there any reason to take the risk of getting shut out like several did on our Greek Isles Cruise..
Rick Archer's Note: One of the joys of traveling is the chance to learn some more about areas of the world we did not know much about. I would guess that of all locations on earth, we know the least about Africa. After Africa I suppose it is a toss-up between Asia and Oceania. 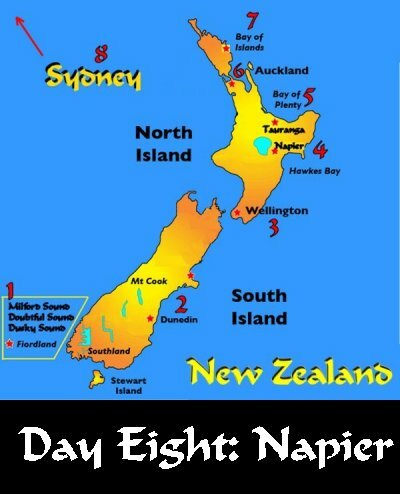 I bet most of you do not know a darn thing about New Zealand. I have prepared a little quiz for you. Let's see if you are any good. 1. What famous movie was filmed in New Zealand? 2. 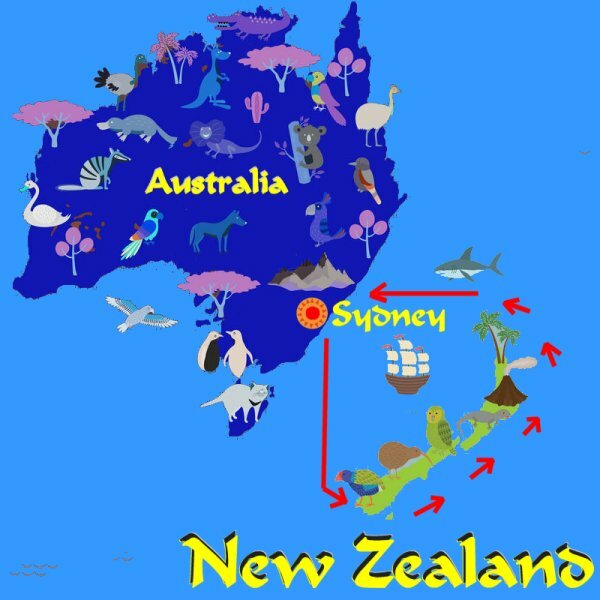 Which European first discovered New Zealand? 3. Which is closest to the Arctic Circle? 5. How far is New Zealand from Australia? 8. 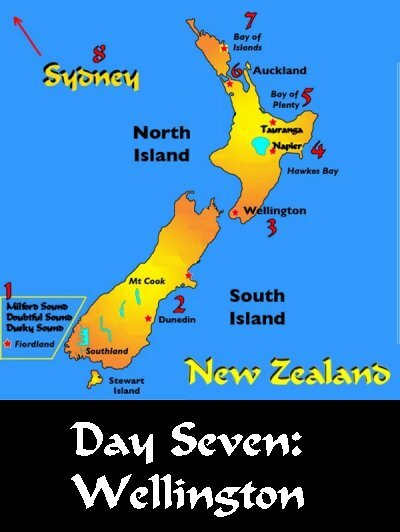 Which is not an island just off the coast of New Zealand? 11. What do Norway and New Zealand have in common? 12. 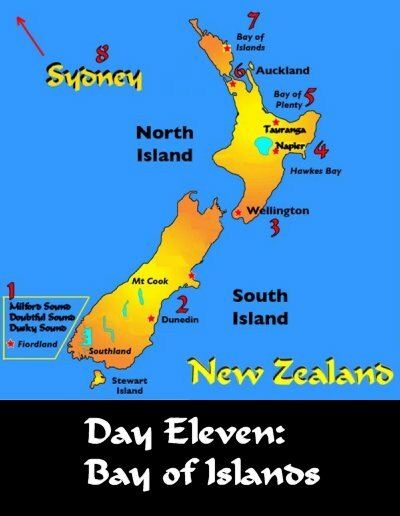 Which island is not a neighbor of New Zealand? 13. Which celebrity is not from New Zealand? 14. New Zealand is famous for what sport? 15. What is the most unusual feature of Auckland? 16. What is the favorite dance of New Zealand? Sydney is the oldest, largest, and most beautiful of all Australian cities. In 1788, Captain Arthur Phillip, commander of the First Fleet, established the first British colony in Australia here at Sydney Cove. For those unfamiliar with the history of Australia, England decided to use it as the dumping ground for its worst convicts. That was then, this is now. Sydney reflects the adventurous spirit of its early settlers to this day. As one glides along the lovely harbor on a ferry, you can gaze with wonder at the white sails of the Opera House and admire the graceful arch of the Harbor Bridge. Amidst so much beauty, it is hard to imagine this vibrant state capital was once a brutal convict colony. There are all sorts of things to do at Sydney. Visitors can explore Sydney's fabled history in the narrow cobbled laneways and historic buildings of the Rocks. Along the way, be sure to take a look at the city's excellent museums. While you're at it, definitely check out the rock paintings of the Gadigal aboriginal people who once thrived on this land. 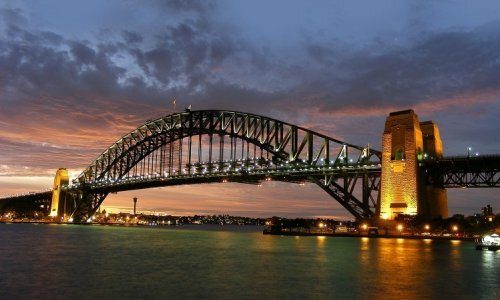 Visitors can climb the harbor bridge, surf the green-barrel breaks at Sydney's golden beaches, or fly over the city on a scenic tour. The national parks which surround the city also provide appealing day trip possibilities. 1. Spend the day at the Sydney Opera House. One of the world's great icons, the Sydney Opera House is a UNESCO World Heritage Site and the star attraction on the glittering harbor. This graceful building, shaped like shells or billowing sails, perches on a finger of land surrounded by water. A masterpiece of architecture, the Sydney Opera House is one of the world's most famous buildings. There are many ways you can experience what the Sydney Opera House has to offer. You can take a photo on the steps of the Opera House, explore it majestic exterior and splendid interior on daily tours, and enjoy performances held under its iconic white sails. The Sydney Opera House in Circular Quay hosts more than 40 performances each week. Snap a photo while gliding by on a harbor cruise, relax at one of the restaurants, stroll around its exterior, or take an organized tour of this magnificent structure, which encompasses theaters, studios, exhibition rooms, a concert hall, and cinema. 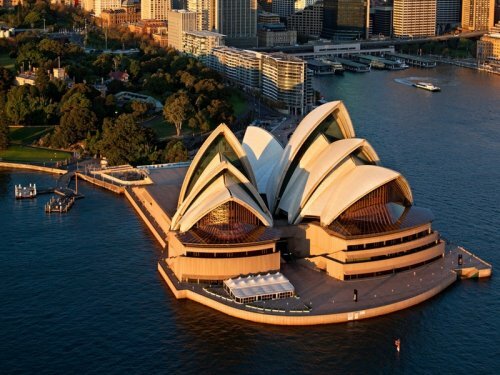 On the edge of Sydney Harbor, one of the world's great natural harbors, the Sydney Opera House was evaluated as "one of the indisputable masterpieces of human creativity, not only in the 20th century but in the history of humankind". The Sydney Opera House hosts 1,600 performances every year including ballet, opera, theatre, dance, music and comedy as well as children's shows and more. You can combine shows with delicious food at the Opera Kitchen and Bennelong Restaurant, or enjoy pre-show drinks at the Opera Bar. Nicknamed "The Coathanger" and dating back to 1932, the Sydney Harbour Bridge is one of Australia's grandest engineering feats. The Sydney Harbour Bridge was the city's best-known landmark prior to construction of the Opera House. Supported by massive double piers at each end, it remains the world's largest steel arch bridge, connecting the harbor's north and south shores in a single curve rising 134 m above the water. Along its length run two railway lines and eight lanes for road traffic, the direction of which can be varied according to traffic flow. Increasing bridge traffic encouraged construction of a harbor tunnel in 1992 to ease congestion, but motorists can still drive over the bridge for blue water views. Pedestrians can stroll across on walkways or join a guided ascent through 'Bridge Climb' for a breathtaking panorama of the city and harbor. Daring souls who want to climb to the 440 feet high summit can book the Sydney Bridge Climb. This is a spectacular opportunity that takes groups of up to 13 people on an approximately 3.5 hour climb to the top of the outer arch. Tours run throughout the day, beginning with a dawn climb and ending with a night climb. 1.5-hour Sampler Climbs and 2.25-hour Express Climbs are also available. Visitors are free to walk or cycle across this vast structure, but book a Bridge Climb for the opportunity to scale to the summit and enjoy unbeatable panoramic views. No special climbing skills are required, and there are various sessions throughout the day, including at twilight and dawn. 3. Walk Sydney's famous Bondi to Coogee coastal trail. Hands down Bondi is a favorite for the best beach near the city. About 15 minutes by car or bus from the central business district, it's a great spot to trade the hum of traffic for the soothing slosh of surf. Bondi actually comes from an aboriginal word meaning "noise of water breaking over rocks." From here, visitors can breathe in some beautiful scenery along the Bondi to Coogee Coastal Walk, which winds its way along the sandstone cliffs past popular caf�s, rockpools, beaches, and bays. 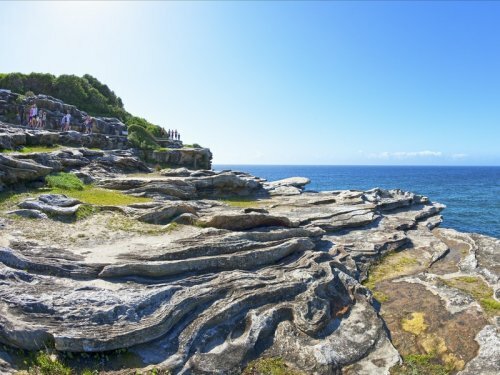 This photogenic 3.7 mile walking track will take you through scenic Eastern Sydney beaches, including Bondi, Tamarama, Bronte, Clovelly, and, finally, Coogee Beach. The trail begins at Bondi Icebergs pool, winds past Aboriginal rock carvings at Marks Park, and offers plenty of opportunities for a swim along the way. At the end of your walk, enjoy lunch at seaside eatery Coogee Pavilion - its rooftop boasts beautiful 270 degree views. Express buses operate from Bondi and Coogee to the city centre. 4. 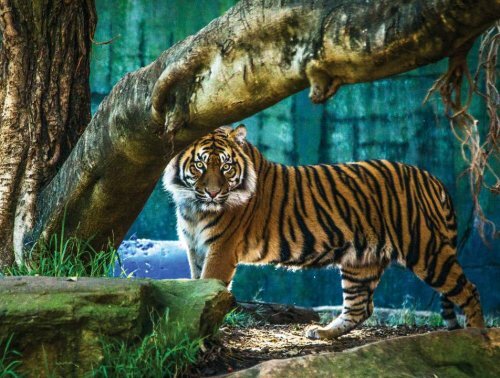 Get up close and personal to the animals at the Taronga zoo. Enjoy close-up encounters with exotic wildlife plus superb views of the Sydney skyline at Taronga Zoo. Nestled on a point along the north side of the harbor, the zoo inhabits prime Sydney real estate in the posh suburb of Mosman. Highlights include the Lemur Adventure Park, Koala Encounter, and Seal Show. Visit the animals with their incredible waterside address just 12 minutes ferry ride north from Circular Quay. Taronga Zoo houses more than 4,000 animals from various exotic and native species, including gorillas, tigers, leopards, chimpanzees, giraffes, Australian sea lions, kangaroos and koalas. Once you've been up close with the animals, experience the wildlife from a new perspective by tackling the treetop Wild Ropes - more than 60 high rope challenges over four courses, including zip-lines, rope climbs and suspended bridges. For the ultimate sleepover, book the Roar & Snore experience, allowing you to stay overnight at the zoo, sleeping in luxury safari-style tents. 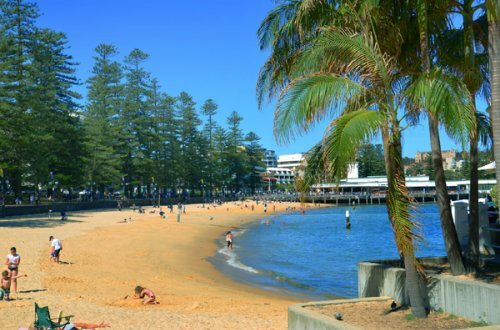 Manly, on Sydney's north side, is renowned for surf breaks, scenic walks and laidback caf�s. A half-hour ferry ride from Circular Quay, a trip to Manly is the perfect day out. In company with Bondi, Manly Beach is Sydney's most iconic strip of sand, named by the State's first governor Arthur Phillip in 1788 for the impression made on him by "the confidence and manly behaviour" of the area's Aborigines. Join an EcoTreasures snorkeling tour to discover more than 200 fish species, including the famous Blue Groper, in the calm, clear waters off Manly's Shelly Beach; or test your balance stand up paddle boarding, available for hire from the Manly Kayak Centre. Enjoy fish and chips from one of the countless takeouts, or sit down at the charming Fika Swedish Kitchen - the cinnamon bun pudding is delicious. Make a weekend of it and stay overnight at The Sebel, which is located just steps from the beach. Famous for its rock formation known as the Three Sisters - along with quaint hotels and charming townships - the Blue Mountains National Park is just under a two hour drive from Sydney. Here you can discover one million hectares (2.5 million acres) of tall forests, sandstone cliffs, waterfalls and bushland, either mountain biking, abseiling or on foot. For a unique perspective, head to Scenic World in Katoomba, home to a cableway, a walkway over the rainforest canopy and a glass bottom skyway. Go touring--Soak up the streams, waterfalls, forested valleys and cliffs of the Blue Mountains along the many well-marked walking trails. Follow the original 1884 horse track from Katoomba to Jenolan Caves on the three day Six Foot Track, or take the easy 1.1 mile Princes Rock Walk to a lookout over Wentworth Falls, Kings Tableland and Mount Solitary. 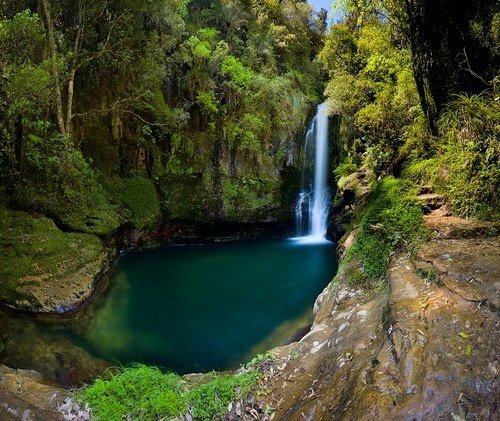 You can also wade and boulder-hop your way down Glenbrook Gorge, on the 1.9 mile Glenbrook Gorge Track, or creep up the sheer cliffs around Wentworth Falls on the challenging National Pass. Many of the walks can be done independently, however if you're unfamiliar with the region and weather conditions, it's best to join a guided tour. Life's an Adventure offers a great Six Foot Track tour, as well as a two day Wolgan Valley and Glow Worm Cave Walk. You can also discover the Blue Mountains' rich Aboriginal heritage on a walking tour with a local Darug guide from Blue Mountains Walkabout. If your feet need a rest, spend a day on the hop-on hop-off Blue Mountains Explorer Bus or with Blue Mountains Trolley Tours. Both companies visit 29 stops, including the major attractions, around Leura and Katoomba. A trip to the Blue Mountains wouldn't be complete without calling into Scenic World at Katoomba. 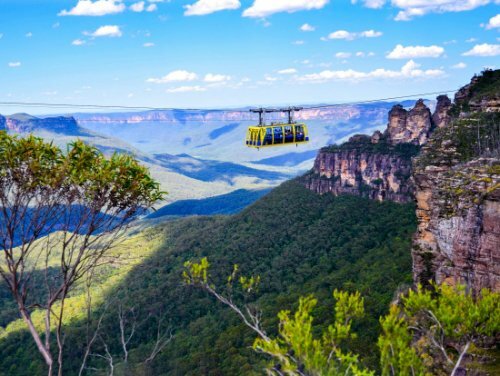 There you can ride the Scenic Skyway gondola across Jamison Valley, taking in views of the Three Sisters, Mount Solitary and Katoomba Falls. Scenic World is also home to the Scenic Railway, the world's steepest incline railway, descending more than a quarter mile down the escarpment. This thrilling ride passes through a long tunnel and gorge, ending on the valley floor, and is a huge hit with children. Scenic World is near the Three Sisters, a dramatic rock formation that's best seen from Echo Point Lookout. It's one of the most visited sites in the region, however you can also get up close on a walking trail to the top of the Three Sisters via Honeymoon Bridge. 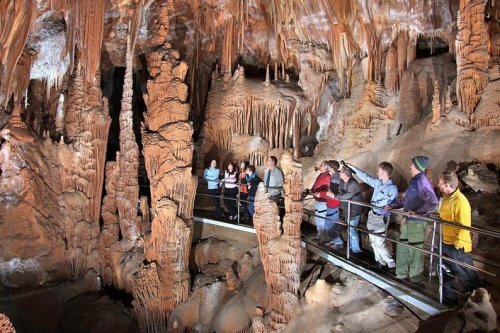 With 11 spectacular show caves, underground rivers and awe-inspiring formations, Jenolan Caves is among the finest and oldest cave systems in the world. You can explore the caves on a guided day tour, get goosebumps on a ghost tour or enjoy a monthly cave concert with natural acoustics and fairytale ambience. Above ground, stroll through the bush and marvel at Blue Lake - you may even spot a kangaroo. Have lunch at the award-winning Chisholm's Restaurant, in historic Caves House, where you can also stay the night. With thousands of plants from the southern hemisphere and around the world, including the rare Wollemi Pine, the Blue Mountains Botanic Garden at Mount Tomah is a must-see for nature lovers. The cool climate garden is .62 miles above sea level and has stunning views across the area. Wander around the estate and explore the many formal gardens. 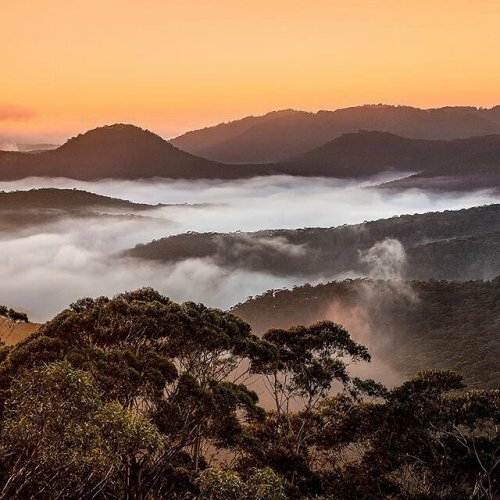 The Greater Blue Mountains World Heritage Exhibition Centre is also worth checking out to understand why the region was classified a World Heritage Area. Gondola Ride to Scenic World and Blue Mountains. See the Three Sisters rock formation on the right. 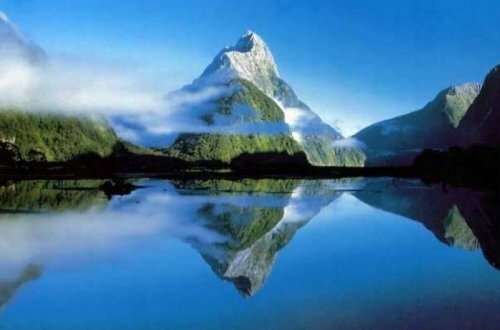 Fiordland is a geographic region of New Zealand in the southwestern corner of the South Island. It comprises the western-most third of Southland. Most of Fiordland is dominated by the steep sides of the snow-capped Southern Alps, deep lakes, and its steep, glacier-carved and now ocean-flooded western valleys. Due to the often steep terrain and high amount of rainfall supporting dense vegetation, the interior of the Fiordland region is largely inaccessible. As a result, Fiordland was never subjected to notable logging operations, and even attempts at whaling, seal hunting, and mining were on a small scale and short-lived. Our cruise trip will not actually dock in Fiordland, but rather sail through and treat us to the spectacular views. You may have an opportunity to spot some of the area's wildlife in the water, such as dolphins and seals. As it turns out, there are twelve different fiords. Our ship will take us to the three most important: Milford Sound, Doubtful Sound (love that name! ), and Dusky Sound. Described by Rudyard Kipling as the 'eighth wonder of the world', Milford Sound was carved by glaciers during the ice ages. Breathtaking in any weather, the fijord's cliffs rise vertically from the dark waters, mountain peaks scrape the sky and waterfalls cascade downwards from as high as 1000 metres. 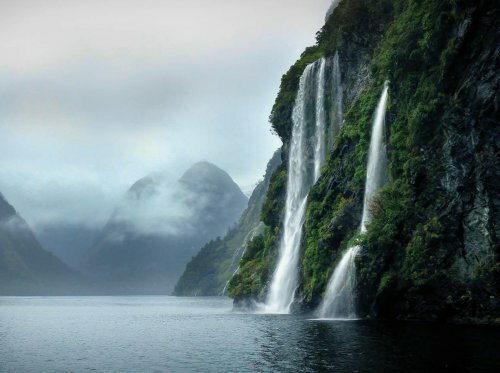 When it rains in Milford Sound, and it often does, those waterfalls multiply with magnificent effect. The first thing that strikes many visitors is the diverse nature of the scenery. Staggering mountains rest side-by-side with lush waterfalls. Those who see Milford Sound wildlife are also struck by how diverse it is, as well as how all its inhabitants live together in harmony. 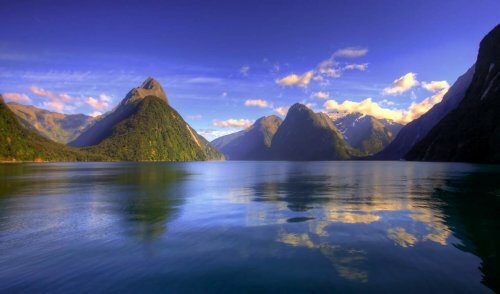 Milford sound has a long and interesting history, from early Maori habitation to the first European explorers. 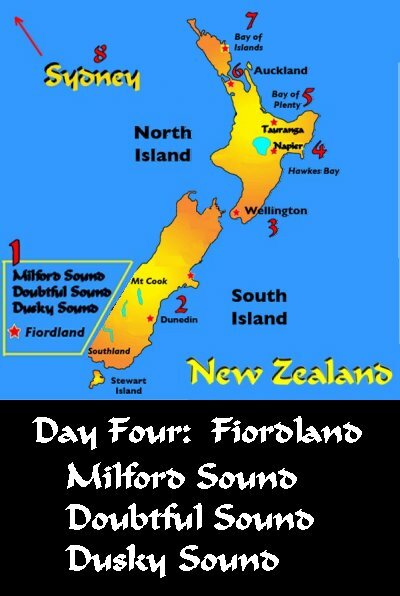 Milford Sound was recognized by early colonists as a very special place and it been visited by curious explorers for over 200 years. Nineteenth century botanists have found rare plant life and the earliest photographers have documented it's natural wonders. Milford Sound rich and varied history has been a resource for Maori for around 1000 years. The famous English naval commander, Captain Cook passed the entrance to Milford Sound twice and so the European "discovery" of Milford Sound is credited to Welsh adventurer John Grono. Despite modern access by road, sea and air, Milford Sound retains it's natural beauty and still attracts an abundance of wildlife including dolphins, fur seals, penguins and many different sea birds. The grandeur of towering peaks descending into deep waters, outstanding waterfalls and fjords covered with ancient vegetation, all make up the unforgettable solitude and serenity of Doubtful Sound, New Zealand. Practically untouched by man, the physical grandeur of towering peaks descending into moody waters, outstanding waterfalls from high-up ice-age valleys and fiords clad with ancient vegetation, create a powerful atmosphere of solitude and serenity. Its rugged peaks, verdant rainforest and twisting, hidden inlets will take your breath away. Doubtful Sound is the second largest fiord in Fiordland National Park. Three times longer than Milford Sound and with a surface area 10 times larger, this is an unspoiled wilderness of many moods. 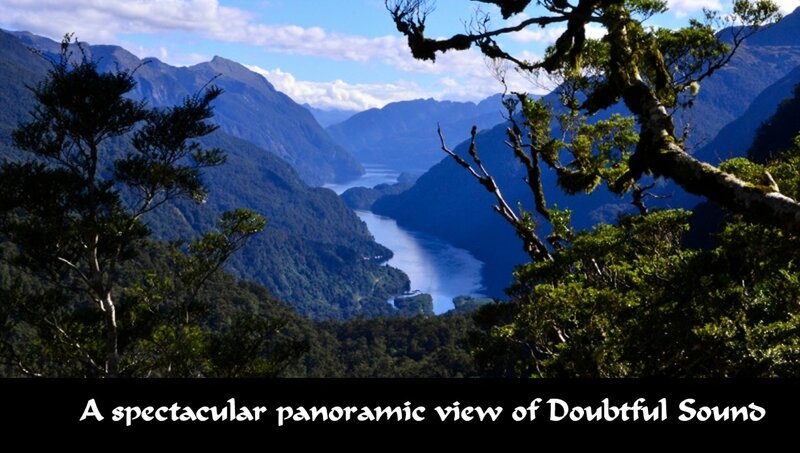 First named 'Doubtful Harbour' by Captain Cook, who was unsure of whether or not the inlet was navigable, was later renamed Doubtful Sound by whalers and sealers. The sound is home to several large waterfalls, notably Helena Falls at Deep Cove, and the Browne Falls, which have a fall of over 600 meters. The fjord also protects the southernmost population of bottlenose dolphins as well as fur seals, penguins, and numerous sea creatures such as sea anemones, coral and starfish. 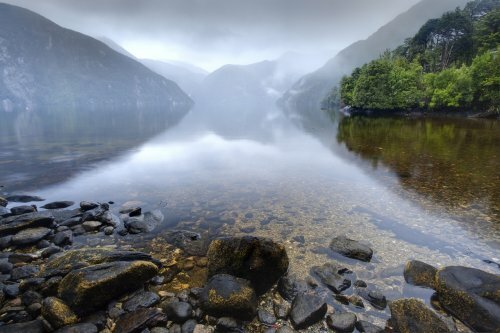 Dusky Sound in southern Fiordland is one of the most remote parts of the New Zealand mainland. Dusky Sound, New Zealand's longest fjord, is also one of the most beautiful, with numerous wooded islands and inlets. It was given its name by Captain Cook, who sailed past the fjord on his first voyage, in 1770, as evening was falling. First impressions are that nothing has changed since Captain Cook entered Tamatea/Dusky Bay. It looked too forbidding to enter and Captain Cook named it Dusky Bay before sailing on by. It was three years later on his second voyage to these parts that he penetrated its dark, forest-laden shores. In a sense, it is ironic that Dusky Sound has remained as untouched as it has because it hosted New Zealand's European settlement, a short-lived base for sealers and whalers in the late 18th century. The upper reaches of the sound are steep-sided, and the high precipitation of the region leads to hundreds of waterfalls cascading into the sound during the rainy season. Dunedin (duh-NEE-din) is the second-largest city in the South Island of New Zealand. Its name comes from D�n �ideann, the Scottish Gaelic name for Edinburgh, the capital of Scotland. Known as the Edinburgh of New Zealand, Dunedin is the country's city of the south, wearing its Scottish heritage with pride. Surrounded by dramatic hills and at the foot of a long, picturesque harbor, Dunedin is one of the best-preserved Victorian and Edwardian cities in the Southern Hemisphere. Nightlife buzzes with funky bars and delicious restaurants and the natural attractions are unique and fascinating. Archaeological evidence points to the area having been long inhabited by Maori prior to the European arrival. In 1848 a Scottish settlement was established by the Lay Association of the Free Church of Scotland. Between 1855 and 1900 many thousands of Scots emigrated to the incorporated city. Dunedin became wealthy during the Central Otago Gold Rush, beginning in the 1860s. While Tauranga, Napier and Hamilton have eclipsed the city in size of population since the 1980s to make it only the seventh-largest urban area in New Zealand, Dunedin is still considered one of the four main cities of New Zealand for historic, cultural and geographic reasons. The harbor and hills around Dunedin are the remnants of an extinct volcano. Dunedin is a region of unique landscapes and fascinating cultural history. Enjoy getting close to rare wildlife and soaking up the traditions of this unique city. Don't miss a drive up the Otago Peninsula - the views are endless and the beaches are beautifully rugged. Nestled at the foot of Taiaroa Head is the Royal Albatross Centre, the only place in the world on the mainland where you can view Northern Royal Albatross in their natural habitat. 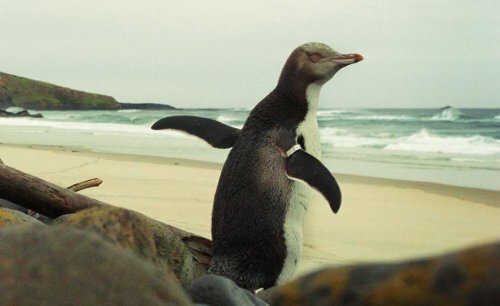 On Dunedin's doorstep you will also find incredible wildlife including the world's rarest penguin colonies. 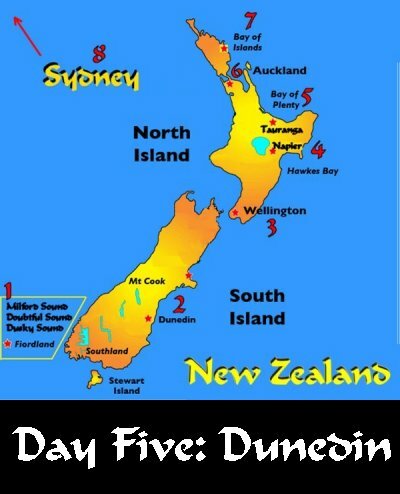 In the early 1900s Dunedin was the commercial center of New Zealand. In 1906 this magnificent railway station was opened. Today the station remains, fully restored to its former glory. The ornate Flemish Renaissance-style architecture features white Oamaru limestone facings on black basalt rock. The sheer size, grandiose style and rich embellishments of the station earned architect George Troup the nickname of Gingerbread George. The booking hall features a mosaic floor of almost 750,000 tiles of Royal Doulton porcelain. The one kilometre main platform is the country's longest and every year in October becomes what is probably the world's longest catwalk, for the South Island's main fashion show. An excellent tourist excursion service is the only train now using the station. Much of its ground floor is used as a restaurant, and the upper floor houses an art gallery and a sports hall of fame. Visitors are welcome to view the exterior from the well kept grounds and wander inside to marvel at the ornate interiors. A highlight of your visit to Dunedin is a trip on the Taieri Gorge Railway - one of the world's great train trips and one of Dunedin's top attractions. Departing daily from downtown Dunedin into the Taieri Gorge, this trip travels through some of New Zealand's most beautiful and ever changing scenery which can not seen from the road! With sightseeing stops, on board cafe, outside viewing platforms it is the perfect all weather activity and one of the key attractions in Dunedin. 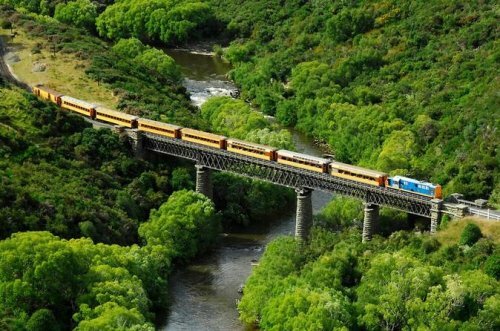 Take a scenic round-trip through the wilds of New Zealand's South Island on a Taieri Gorge railway journey from Dunedin. Depart from downtown Dunedin's attractive railway station and head deep into the Taieri Gorge by train. Gaze out over ever-changing corners of the New Zealand countryside inaccessible by road. With informative and entertaining live commentary on board, gain insight into the railway's construction and the challenges faced by the engineers. Enjoy sightseeing stops on route and discover top attractions around Dunedin. The stunning Taieri Gorge Railway is a world class train trip and one that should not be missed. Discover New Zealand's only Castle, built 1871 by William Larnach, merchant baron and politician, for his beloved first wife Eliza. It took more than 200 workmen three years to build the Castle shell and master European craftsmen spent a further 12 years embellishing the interior. Larnach spared no expense on his dream home, which features the finest materials from around the world. The Castle is still privately owned and cared for by the Barker family who purchased it as their home in 1967. Decades have been spent on the Castle's restoration, with the family having restored empty buildings from ruin and assembled a large collection of original New Zealand period furniture and antiques. This living collection showcases the craftsmanship and spirt of New Zealand. Open to the public throughout, this conservation project has been funded through admission fees. The family has always been committed to opening their home and sharing this significant period of Dunedin and New Zealand's history. 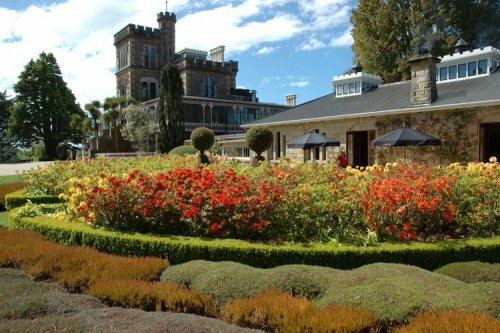 The gardens at Larnach Castle have been rated by the New Zealand Gardens Trust as a Garden of International Significance. Today, the Castle is surrounded by 7 acres of maintained Gardens. There is always something to see in the gardens at Larnach Castle. This is more than just a Garden of International Significance; it is a unique collection of specialized gardens. There is a Patterned Garden, the Lost Rock Garden, the Serpentine Walk, the Rain Forest, the South Seas Garden, the Alice Lawn, and the Laburnum Arch and Green Room. To assist in exploring the gardens, a color map is provided, with features to be found including the Wishing Well, the Dungeon, a Methane Gas Generation Plant and a challenge to find the Oamaru Stone Cheshire Cat! Purakaunui Park can be reached by car. It is located 25 minutes from Dunedin. Attractions include walking, bird-watching, kayaking, swimming, surfing, fishing and yachting. Be sure to see the spectacular water falls. Wellington is the capital city and second most populous urban area of New Zealand, with 412,500 residents. It is located at the south-western tip of the North Island, between Cook Strait and the Rimutaka Range. Wellington is known as the world's windiest city, with an average wind speed of over 26 km. For you trivia buffs, it is also the world's southernmost capital of a sovereign state. The earliest date with hard evidence for Maori living in New Zealand is about 1280. European settlement began with the arrival of an advance party of the New Zealand Company on the ship Tory on 20 September 1839, followed by 150 settlers on the Aurora on 22 January 1840. Many points in Wellington are accessible by walk on walk off from the ship. A pedestrian city, the easiest way to discover the essence of Wellington is on foot. Malls and side alleys connect its streets, cafes spill from refurbished Victorian buildings, the waterfront inspires new and exciting public spaces, and eclectic street art is scattered throughout. Downtown Wellington is an ideal shopping destination. Considering how compact the city is, it takes no more than twenty minutes to walk from one end of downtown to the other. The city's best-known shopping area is Lambton Quay on Willis Street, also called the Golden Mile for its row of department and designer stores. For a more bohemian alternative, visit Cuba Street. Here you'll find markets, alternative boutiques, secondhand stores and, of course, great caf�s. 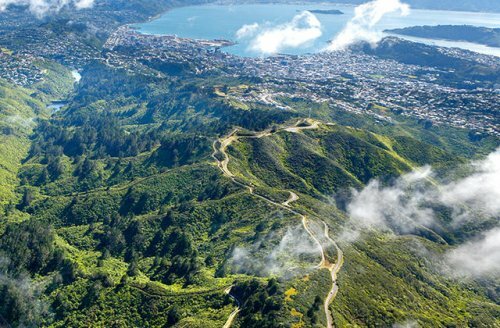 Walk or take a bus from the city to the summit of Mount Victoria for a 360-degree panorama of Wellington. Enjoy fantastic city and harbor views. Walk around the stunning waterfront and follow the Wellington Writer's Walk - quotes from New Zealand writers are celebrated in large stone sculptures. While you are at the waterfront, why not stop at Te Papa. It is an innovative national museum and a world leader in interactive experiences. New Zealand's history, art and people are showcased in fun and interesting exhibitions. Te Papa is the most visited museum in Australasia and entry is free for most exhibitions. 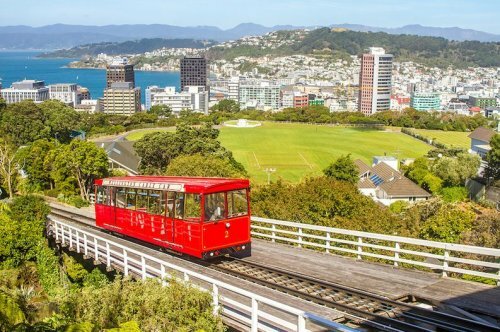 Jump on the famous Wellington cable car and climb the hill from downtown Lambton Quay to the Botanic Garden. There are sweeping views of the city and harbor. Wellington offers plenty of outdoor opportunities. For starters, there's the terrific 8K Red Rocks Coastal Walk along the southern coastline, past the lava formation of Red Rocks to the seal-covered shores of Sinclair Head. If you're up for a tougher test, you could go on a rock-climbing excursion or hire sea kayaks. You also have the option of hiring a 4-wheel-drive ride for a trip to the rugged hill country with spectacular views of Cook Strait and the South Island. For you nature lovers, visit Zealandia, the world's first fully-fenced urban ecosanctuary, with an extraordinary 500-year vision to restore a Wellington valley's forest and freshwater ecosystems as closely as possible to their pre-human state. The 500 + acre ecosanctuary is a groundbreaking conservation project that has reintroduced 18 species of native wildlife back into the area, some of which were previously absent from mainland New Zealand for over 100 years. Napier is one of New Zealand's most attractive cities with beautifully preserved 1930s architecture which provides Napier a special point of difference. Rivalled only by Miami beachfront's Streamline Moderne, it is the most comprehensive Art Deco styled town in the world. Palm trees line the inner-city streets and the wonderfully sculpted Marine Parade, as the name suggests, runs along the shore of the city. Along Marine Parade various parks, gardens and memorials give the water's edge its distinct character. 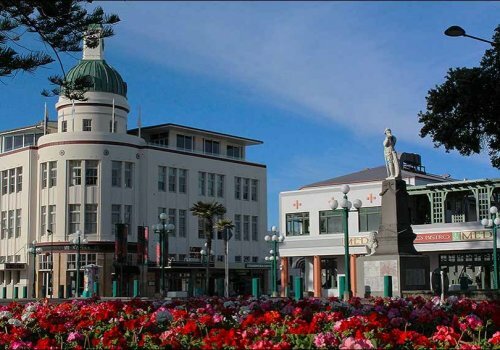 A national disaster resulted in Napier becoming one of the purest Art Deco cities in the world. In 1931 a massive earthquake rocked Hawke's Bay for more than three minutes, killing nearly 260 and destroying the commerical centre of Napier. Rebuilding began almost immediately, and new buildings reflected the architectural styles of the times - Stripped Classical, Spanish Mission and Art Deco. Napier's city center has the feeling of a time capsule - the seamless line of 1930s architecture is quite extraordinary. One of the ways to enjoy the streetscape is on a self-guided walk - ask for a map at the information center at the Art Deco Trust. The port is also a gateway to exploring the Maori heritage, seascapes and wildlife of Hawke's Bay and the many vineyards and wineries in the region. The National Aquarium of New Zealand on Marine Parade is a Napier destination you wouldn't want to miss. Opened in March 2002, it has a huge ocean tank with an observation tunnel and holds the most comprehensive collection of marine life in the country. The aquarium's magnificent architecture resembles a stingray. Exhibits include kiwis, piranhas, crocodiles and every sea creature you could imagine. Napier is the home of New Zealand wine, housing the oldest wineries and wine-making establishments in the country. With some of the best sunshine hours in New Zealand, mountainous shelter from prevailing westerly winds, and refreshing sea breezes, not only is Napier a great climate for visiting, but is ideal for grape growing. 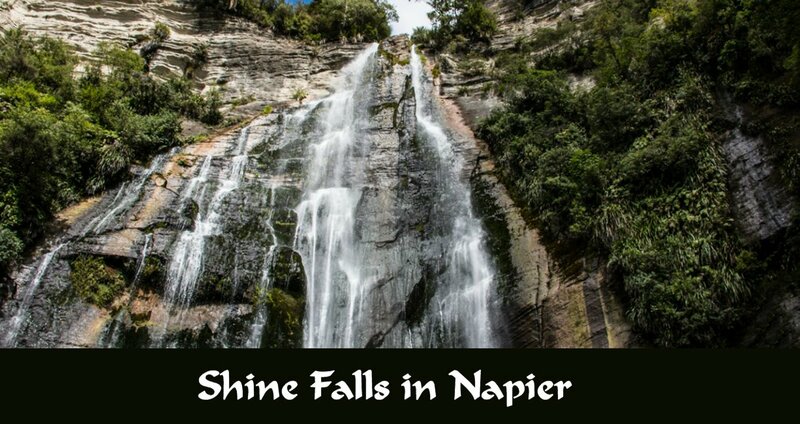 Shine Falls is one of New Zealands' most spectacular sights. Unfortunately it is a 90 minute drive... 3 hours both ways... and we are only in Napier for 6 hours. So it is do-able... but don't linger. 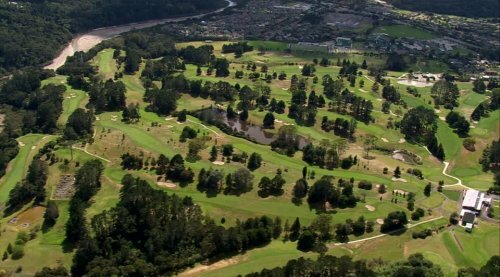 Tauranga is a beautiful coastal city looking out over the wide Bay of Plenty to the north with Mount Maunganui arising conspicuously to the north east and the forested hill country of the central North Island to the south. 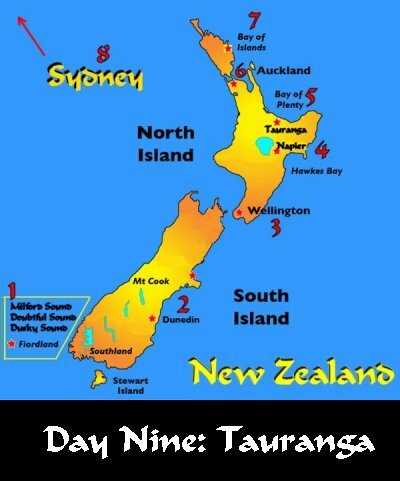 Tauranga was first discovered and named in the 13th Century by the Maori. "Tauranga" meaning is 'the place of rest or anchorage'. It has grown rapidly in recent years and now offers cosmopolitan city living combined with a laid-back atmosphere. No visit to Tauranga would be complete without a trip to Mount Maunganui. Reminiscent of Diamondhead, the extinct volcano that looms over Waikiki Beach in Oahu, Hawaii, Maunganui is a perfect example of New Zealand's extremely mountainous landscape. 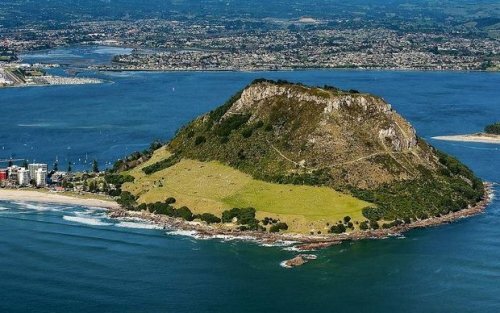 This extinct volcanic peak rises from the mists of Tauranga Harbour, attracting tourists from all over New Zealand and abroad. Known as simply "the Mount" to locals, Mount Maunganui is home to a spectacular beach nestled at the southern end of Tauranga harbor. The sheltered inner bay offers warm waters and white sandy beaches, while the ocean side is a surfers' paradise. The area, once a Maori stronghold, now houses the resort town of Maunganui, which is known for its tiled pavements lined with palm trees, turquoise-painted street lamps and gorgeous coastline. And while you're here, take a dip in the hot saltwater pools located at the base of the mountain. 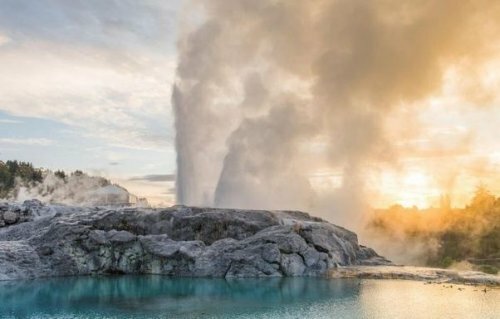 Head just outside of town to the site of Te Puia, which includes a thermal valley, the Pohutu geyser, mud pool, and the Pikirangi Maori village. Soak your tired limbs in the rejuvenating thermal pools and then learn more about Maori culture at the carving and weaving schools. If you're timing is right, you just might get to witness the spectacular sight of the Pohutu geyser shooting nearly 100 feet into the sky. Explore walking tracks and waterfalls, or take your courage with you to the TECT All Terrain Park to experience high wire adventures, mountain biking and motorsport activities. 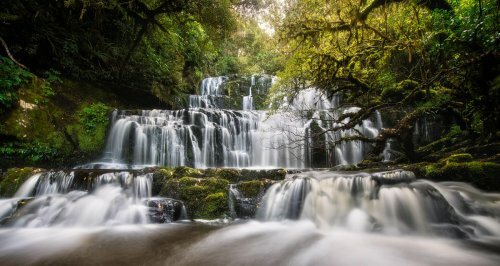 Visit Kaimai Mamaku Forest Park located in the Kaimai mountain range, the natural park is part of a natural barrier between the Bay of Plenty and Waikato regions. With over 200 miles of hiking and walking trails, nature lovers will find plenty of local flora and fauna to observe. Or if you are feeling lazy, relax on one of the many golden beaches that make this area popular with surfers, sailors, and divers. Venture out on the water for dolphin watching, or even a jet boat ride if you have a need for speed. Grab a bite to eat and a refreshing glass of New Zealand vino on the Strand-a waterfront area is filled with restaurants, caf�s, and pubs, which is also the perfect location for people watching. 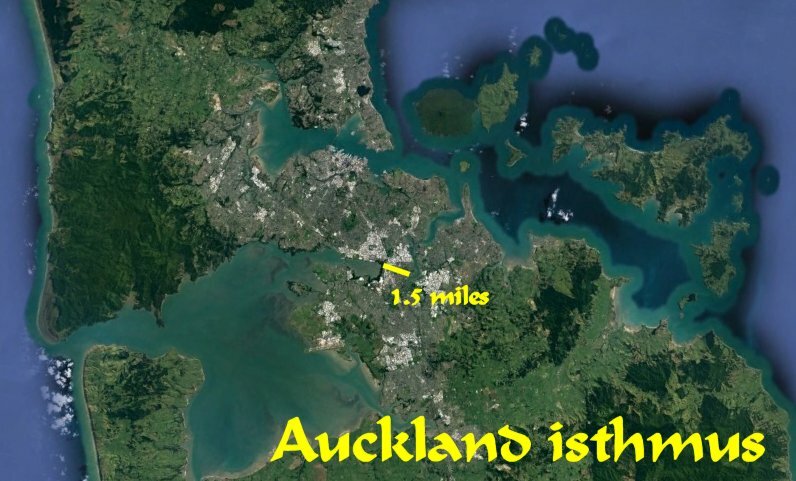 Auckland is located on an isthmus in the northern part of the North Island. For those of you who have no idea what an 'isthmus' is, it is a narrow strip of land with sea on either side, forming a link between two larger areas of land. 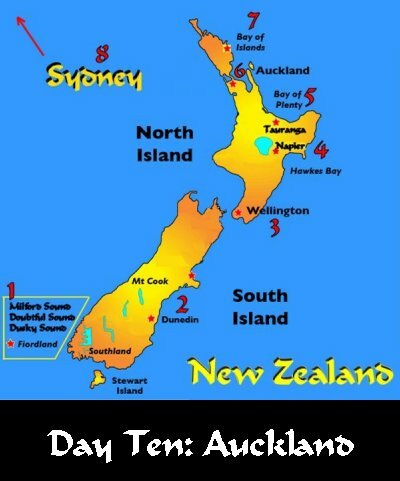 Auckland has two harbors and two bays. In this case, Auckland can be accessed from the West Coast or the East Coast with ease. One imagines this unusual geography makes Auckland the answer to the Trivia Question... which is the largest city in the world built on an isthmus. By the way, there is a major USA city built on an isthmus. Can you name it?? Answer below in the Trivia section. 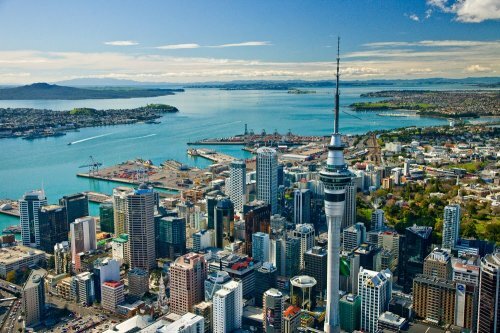 Auckland is the largest urban area in the country, with an urban population of around 1,600,000. Auckland is a buzzing urban hub nestled between two contrasting coastlines. The city hosts a combination of metropolitan delights and natural landscapes. The harbor side city of Auckland is surrounded by natural attractions. There are so many beautiful places to see. Auckland's diverse landscapes provide countless opportunities to get immersed in nature. 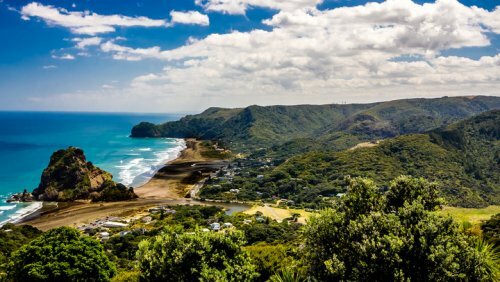 To the west, a lush native rainforest plunges down the hills to meet the sea on dramatic black sand beaches, while the east sheltered golden sand beaches are fringed with red-flowering pohutukawa trees. 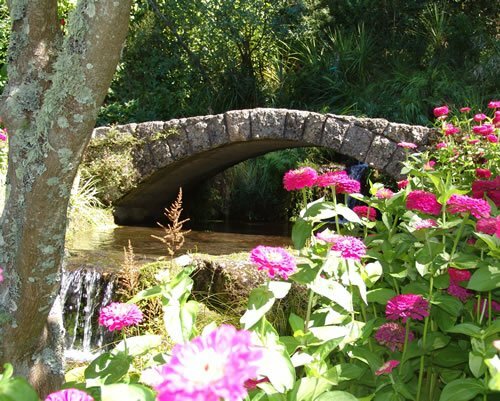 To the north the rolling hills of wine country meet stunning coastlines and in the south you'll find picturesque country gardens, unspoiled forest and tranquil bays to explore. The Waitakere Ranges, spanning West Auckland, are around 30 minutes from the city and are home to lush native bush, stunning waterfalls and walking tracks. With over 150 miles of walking tracks, the ranges are a wonderful place to explore on foot, surrounded by spectacular scenery. Favorite scenic spots like the Karekare Falls, just a few minutes' walk from Karekare beach, are very accessible. Popular short walks deeper into the ranges include Kitekite track, only a 45 minutes walk, where you'll discover waterfalls, streams, pools and beautiful native bush. Native plant life includes nikau palms, silver tree ferns and regenerated kauri. 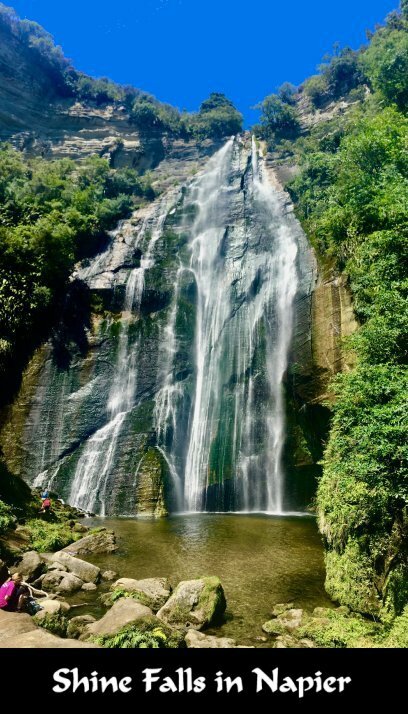 Listen out for the call of the tui and look out for adventure seekers canyoning down the giant six-tier waterfalls. 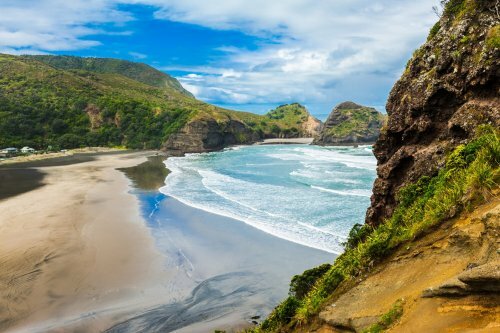 Just past these ranges you'll find the ruggedly beautiful black-sand beaches of Piha, Muriwai, Bethells and Karekare. Auckland's East Coast is home to more tranquil coastline that looks out to harbors dotted with islands. Don't miss a visit to Goat Island - a marine reserve and snorkeling mecca; Tawharanui Regional Park, or the quaint beaches of Devonport. Auckland is also home to 48 dormant and extinct volcanic cones, many of which offer spectacular walking paths and views at the top. Don't miss a short hike up Mount Eden, where you'll find panoramic views of the Auckland region, or catch the ferry to Rangitoto, a volcanic island in the Auckland Harbour. Auckland Hauraki Gulf Marine Park encompasses an incredible 3 million acres of coast, sea and islands and there are so many ways to explore it. Make sure you get out on the water while you're here, whether it's a relaxing harbor cruise, a fishing charter, whale and dolphin spotting, diving, kayaking or surfing. 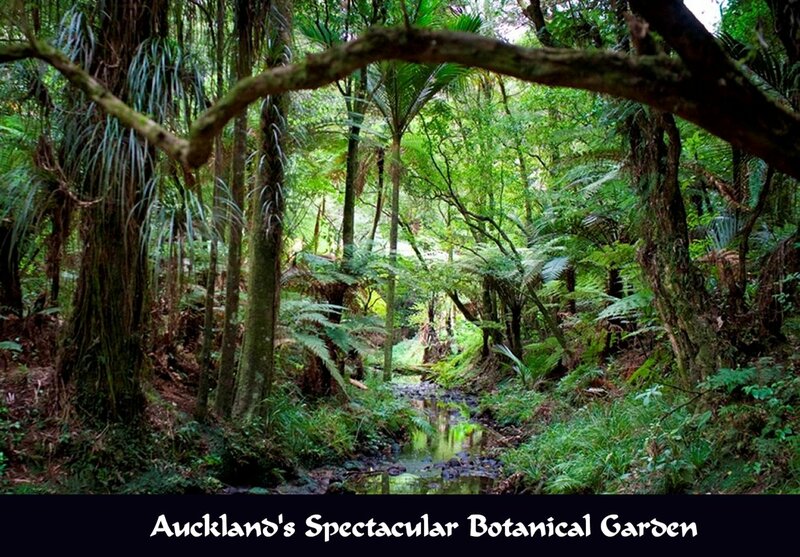 Enjoy a visit to Auckland's Botanic Gardens. 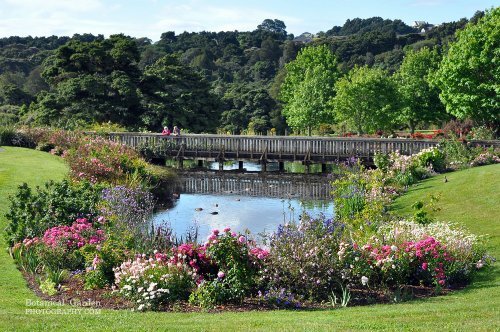 With more than 10,000 beautiful and fascinating plants, Auckland Botanic Gardens is a gardener's nirvana. Enter through the award-winning visitor center and begin your visit with the refreshingly different edible garden. Here fruit, vegetables, nuts and edible flowers are featured to encourage people who want to grow more of their own food. You will have a wonderful opportunity to find out more about the unique features of New Zealand's natural vegetation. A special feature of this garden is the collection of threatened native species. Deeper into the gardens, past the lower lake, things become a little more exotic. Palms from around the world grow alongside many mature native trees in a delightful setting with two meandering streams. Color becomes the focus throughout the extensive rose, camellia and magnolia gardens. From here the spring blossom valley leads to the African garden, a collection of plants from the southern end of Africa - an area regarded as one of the world's richest floral kingdoms. Passing the upper lake and the intriguing rock garden, the edible theme emerges once more at the aromatic and informative herb garden. Signage also explores the contribution that herbs make to medicines, dyes, insect repellents, cosmetics and perfumes. New Zealand's indigenous Maori people called this land Tmaki Makaurau, a maiden desired by a hundred lovers. It was a place fought over for its vast riches, including its forested hills, productive volcanic soils and harbors full of seafood. The name still holds true, as Auckland's lifestyle is ranked among the best in the world. One more thing - the golf courses in Auckland are spectacular. 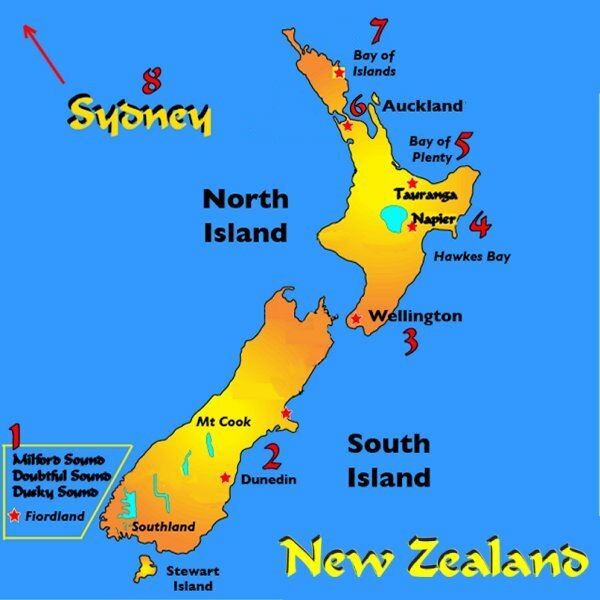 The Bay of Islands is an area on the east coast of the Far North District of the North Island of New Zealand. It is one of the most popular fishing, sailing and tourist destinations in the country as well as s one of the most picturesque sites in all of New Zealand. 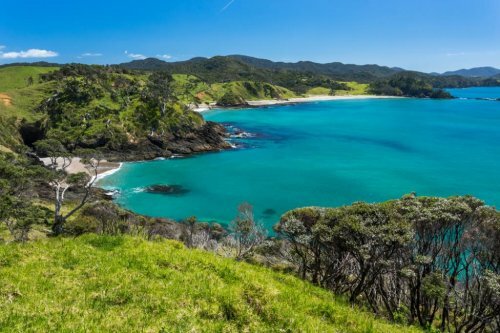 The Bay of Islands is a stunningly beautiful length of sand and rock coastline that circles a sea pierced by 150 islands, secluded bays and an abundance of marine life. Since there is so much to see, perhaps the best way to appreciate the beauty is to take a day trip on an excursion boat. These islands comprise the archipelago of small islands in the Bay of Islands. Most of them are uninhabited by man, many are still unexplored. About the only island which has some facilities is Urupukapuka Island lying northeast of Russell. There are some 40 sites on the islands which are part of the Bay of Islands Maritime and Historic Park. Its visitor information centre is at Russell. These islands may have marked walks, Maori pas and other historical sites, as well as recreation reserves. There are many activities to select from: sailing, fishing, snorkeling, swimming to golfing walking, eating out - it's all there. Swimming with dolphins is a favorite thing to do in the Bay of Islands. Many operators in the region offer excellent trips to spectacular Cape Brett and the 'Hole in the Rock' on Piercy Island. Wherever you are in the Bay of Islands, it's impossible to escape the lure of the sea. Catch a ferry or charter boat and immerse yourself in the blue-green world of island and beach. Or paddle a sea kayak in and out of island nooks and crannies. The townships of this historical bay are alive with memories of the area's colorful history. Visitors are welcome to explore the well-preserved relics of the past, both Maori and European, in romantic Russell, Paihia, Waitangi or Kerikeri. 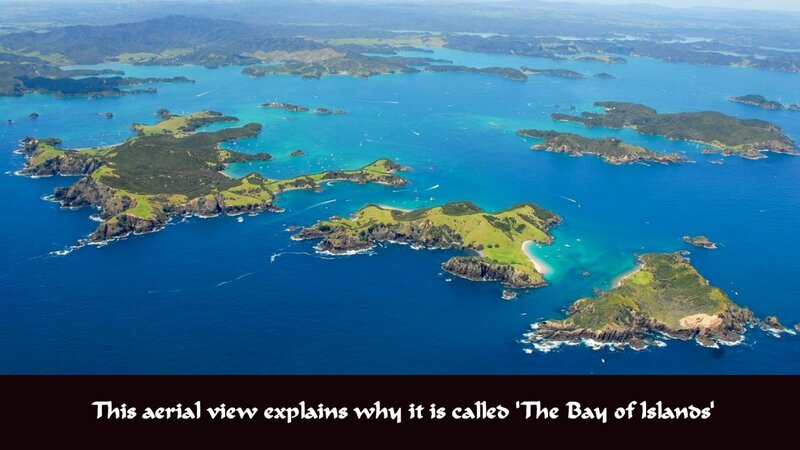 The Bay of Islands was the site at which the earliest contact between the indigenous population and European settlers took place. Visit Waitangi to see the treaty house, where New Zealand's founding document was signed by Maori and Pakeha leaders. 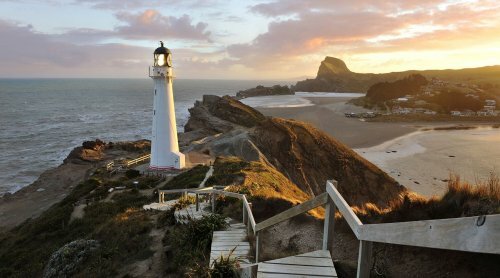 Russell, once the rowdy and bustling capital of New Zealand, today maintains a lively and casual island feel due to its isolation from the mainland. From here walk north to Flagstaff Hill, a reserve that was once the scene of a historic confrontation between Maori leader Hone Heke and the British Colonials. The flag pole flying the Union Jack was severed four times before war settled the dispute. Kerikeri, the earliest permanent settlement in New Zealand, houses some of the country's oldest buildings, bush walks, arts and crafts and local cuisine. Kerikeri is New Zealand's earliest European settlement and permanent mission station, often described as the Cradle of the Nation. Kemp House, built in 1821 beside the Kerikeri inlet, is New Zealand's oldest surviving wooden building. Take a trip to see Haruru Falls. Haruru means "big noise", which is a good indication that these falls are worth seeing. The water falls in a horseshoe shape - very rare and quite spectacular - and Maori legend states that a taniwha (water monster) lives in the lagoon below. You can walk to Haruru Falls along the Waitangi walking track, or drive to Haruru Falls township - which is only 2 miles from Paihia. 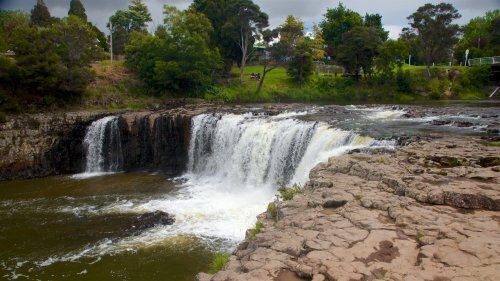 In the 1800s, there were over 100 Maori villages along the Haruru Falls river. Following our visit to the Bay of Islands, the time has come for the two day journey back to Sydney, Australia. This is the perfect time to finally get some rest. 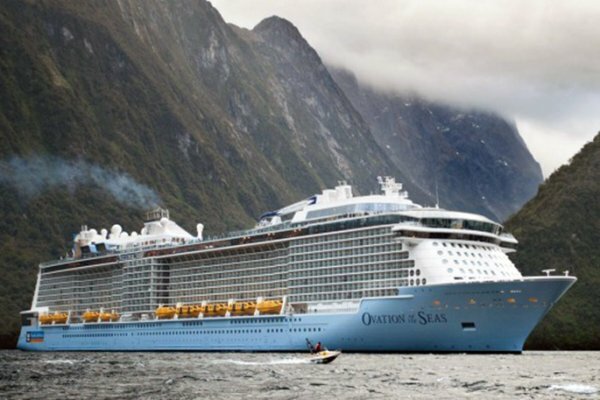 Ovation of the Seas is a Quantum Class ship entered into service in 2016. A non-stop fun ship filled with loads of bells and whistles--Rip Cord I Fly, North Star Capsule, Bumper Cars, Club Two70, a Bionic Bar plus all of our expected venues. The ship's entertainment scene is outstanding, with Broadway-style shows and cabarets that combine human talent with technical wizardry. All-singing, all-dancing gadgets are not just confined to the stage. 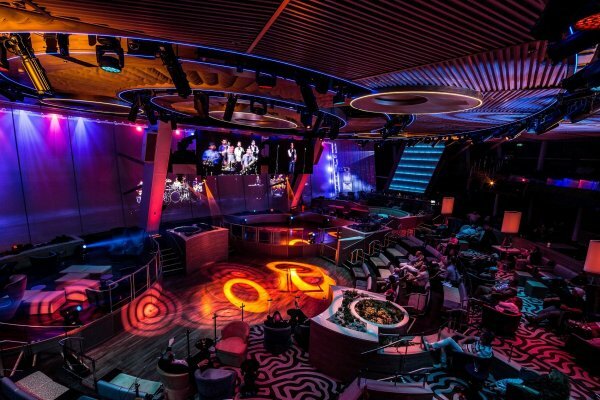 Ovation has myriad high-tech features including Royal IQ, a free interactive scheduling service that lets passengers make reservations for dining, entertainment and activities; it's available as an app for mobile devices or can be used via kiosks and tablets throughout the ship. Thanks to a huge investment in satellite Internet, connectivity is fast and efficient. It's good to see USB ports for in-cabin charging and the option for RFID WOWband wristbands, which can be used instead of key cards. North Star: The exclusive North Star promises to elevate you both physically and emotionally, revealing 360-degree views of a world you've truly never seen before! 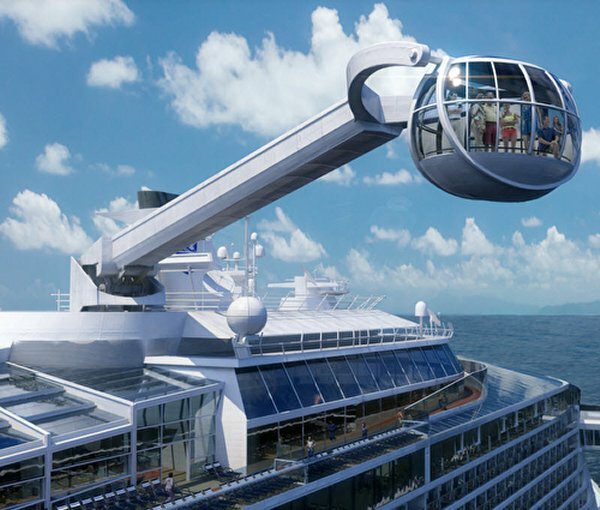 Simply step into the intimate, jewel-shaped capsule, and gently ascend over 300 feet above sea level, where you can take in breathtaking views of the ocean, the ship, and the exciting destinations that we visit. 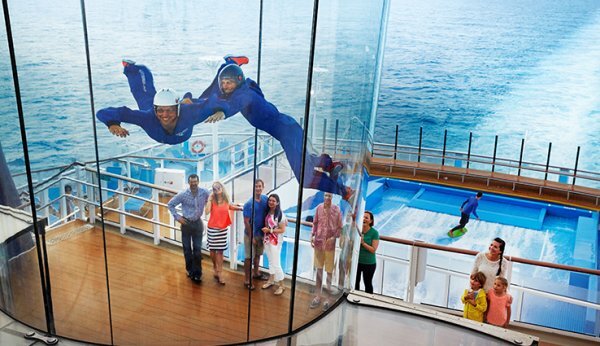 Rip Cord IFly: Experience the exhilaration of skydiving without ever leaving the deck, courtesy of RipCord by iFLY. Feel what it's like to fly, as you float on air within the safe confines of this groundbreaking simulator. 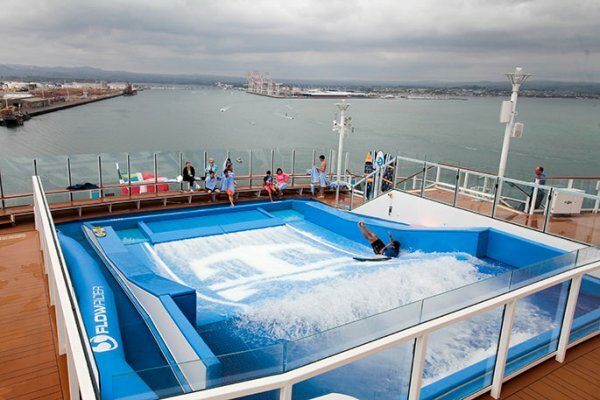 It's a whole new thrill for thrill seekers of all kinds. 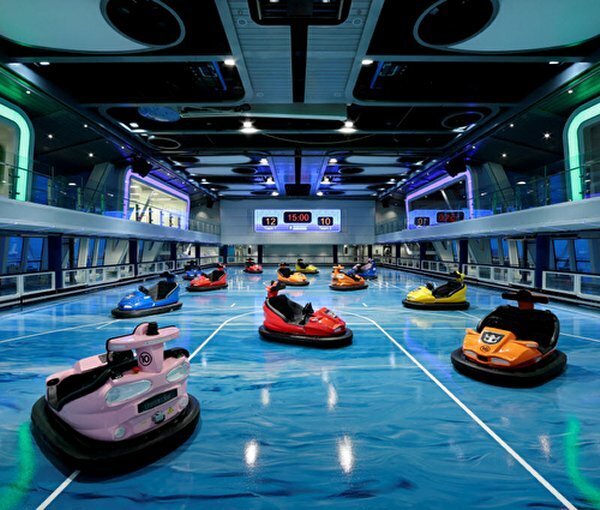 Bumper Cars: SeaPlex, the largest indoor amusement activity space at sea. You can get down on the roller rink or run away to circus school. And the first-ever bumper cars at sea onboard, so you can bump your game like never before. Club Two70: This is one venue you have to see to believe. Day to night, Two70 presents immersive scenery on a 270�, floor-to-ceiling wall of windows. From ocean views to a lively undersea scene to surreal vistas, grab a drink and start gazing because you never know what you'll see. In the evening, it's a place that can take you anyplace, where live entertainment pairs with an amazing multimedia event. When evening turns to night, Two70 transforms turns into a nightclub like no other. And during it all the hand-crafted cocktails are flowing at Two70 Bar. Bionic Bar: Meet two robotic bartenders who know how to shake up your night out. They can mix, muddle, and stir it up too. With moves as fluid as the Pimm's in your cup, they can create an almost endless combination of cocktails, whether it's a classic Manhattan or a custom order of your own design. Just order by app on the nearby tablets and watch your bionic mixologist do its thing. 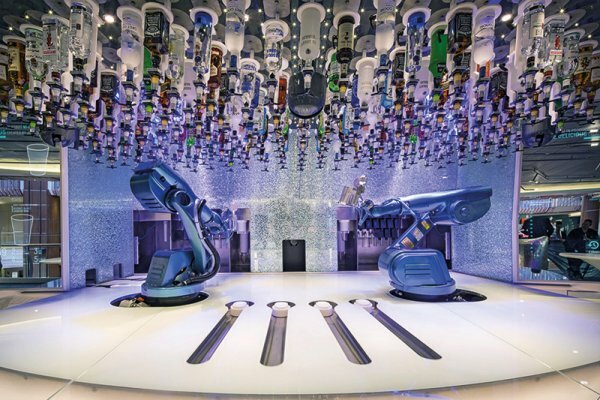 Designed and powered by the minds at Makr Shakr, the Bionic Bar� is making history at sea. Something to ponder. 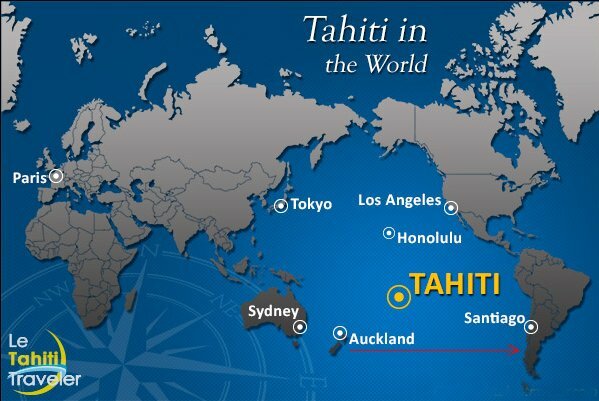 Regarding question 17 in your New Zealand quiz, you do not run into Tahiti if you travel east of New Zealand, you hit Chile (which is not one of your options) Please see attached picture. I spent all of 30 seconds making up that question using Google Earth and I daresay I forgot the Earth is curved. Small mistake. 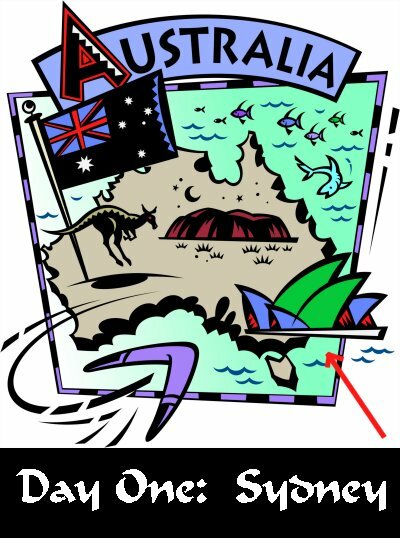 Just read your newsletter and it brought back great memories of Australia and New Zealand. You haven't asked for tips on what to do but being the travel agent without clients that I am, I decided to put in my two cents anyway! 1. Climb the harbor bridge! Do the most popular (I think) which is the climb over the top arch. I am definitely afraid of heights but managed to do this without a lot of drama. Just the sense of accomplishment for me was a major high not to mention the views! 2. We greatly enjoyed both the ferry to Manly Beach (and the beach itself was awesome) and the zoo. The gorillas were the most entertaining animals I have ever seen with the "toddler" really showing out and turning somersaults for us and rushing the window and banging on it. Koala exhibit - yawn. Much better one at a wildlife park on the way to the Blue Mountains. 3. Blue Mountains were very pretty but it is an all day trip and basically is a smaller grand canyon with trees. Wouldn't be first on my list, but if the tour includes the wildlife park, then maybe. 4. Our favorite restaurant was the Sydney Haufbrau House which is right down the street from the pier. It is very easy to get around Sydney. Circular Quay (the subway station) is right down from the pier where you will dock. The ferries are also there. To get to this restaurant, you just cross the busy street in front of the pier and walk up the hill. If it is a weekend, there will probably be a street fair going on since part of this is a pedestrian mall. The Hauffbrau house is at the top of the hill on the corner of the pedestrian mall. They have a good happy hour and live german music. We loved to share the Weiner Schnitzel but I know Rick is a Vegetarian. Also great pretzels. 5. There is an old hotel called the Australian Heritage Hotel up the hill from the pedestrian mall. I think it is on York Street. I can't find my journal but I think this is the name. Just ask any native where the old hotel is that sells coat of arms pizza. Again, this is something you would have to enjoy yourself since one side has Kangaroo and the other side has Emu. These are the two animals on the Australian coat of arms. Delicious and not too expensive according to Sydney prices! They also have a happy hour. 6. There is a free walking tour of Sydney that begins at 10 AM that would be very beneficial the first day or so to learn the layout of the city. Just google free walking tour Sydney. So many things to do in this great city! Prices for food are outrageous! China town is close to the main subway station and that is where we stayed the longest. Just around the corner from our condo was the main street of china town and they had some pretty good restaurants and one little window where you can get great little "donut holes" (can't remember what they called them - they were basically little cream puffs) at a very reasonable price. You can't miss it because there is always a long line out into the street, but the line goes quickly. We had bad weather all through our New Zealand cruise. Hope you are luckier! The seas were so rough that even though they had a wonderful dance venue and teachers, we didn't get to dance until the latter part of our 12 day cruise. None of the tours we went on were much to write home about - again the weather made this less fun since it was very cold and rainy. However, the big highlight of this cruise was the little tour I found that let you swim with the tiny wild dolphins in the bay! Definitely one of our most enjoyable experiences! The tour group was called ecotours and they were fabulous. Started out very spartan. They had a tiny trailer at the pier with one wooden bench and some hooks foe the women to get changed into their wet suits. The lucky guys got to strip down outside in 48 degree weather with spits of rain and gale force winds. Certainly not an auspicious beginning. I was not happy. However, the suits turned out to be very warm and after that things got really good. The swells were about 5 meters that day, but the dolphins were everywhere and we got to swim with them darting all around for a good hour. Then back on our little boat to see penguins and sea lions while drinking hot chocolate and eating ginger cookies (which settled my queasy stomach - the swells were making me turn green). All in all a very wonderful day for a reasonable price - $165 each. OK. I'll stop. Whatever you do, I know you'll have a wonderful time. Sydney ranks up there with London and Barcelona for me and Tom. Rick Archer's Note: One would think at my age I would know not to judge a book by its cover. Obviously the Universe decided I needed a reminder because I ended up badly misjudging a young Filipino lady. Afterwards I felt ashamed. I was not in a very good mood at our first dinner aboard the ship. Let's face it, the human body is not meant for a lengthy 17-hour plane flight. Still exhausted from the long trip, I was cranky and impatient at dinner time. 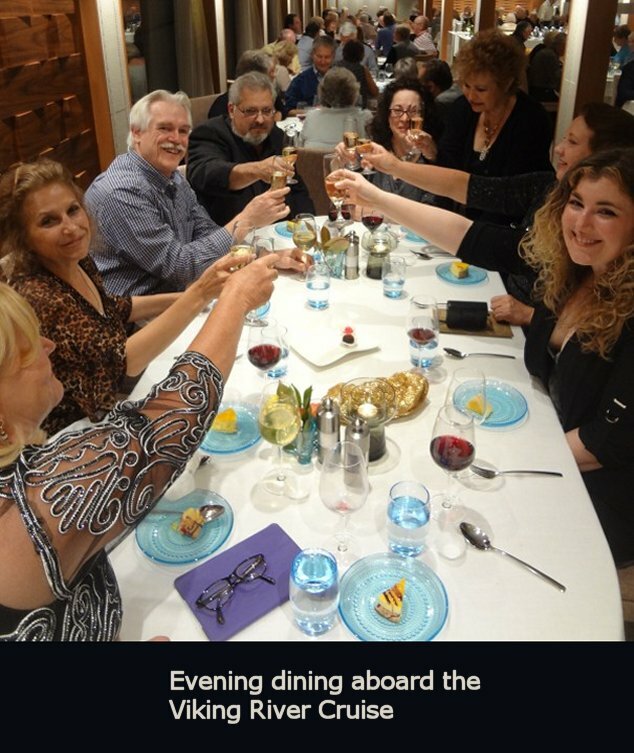 I was also hungry when our large group of fellow travelers appeared in the dining room for our first dinner aboard the Ovation of the Seas. I was pleased to note how attractive our seating area was. Marla had seated our group of 40 in the far corner of the lovely dining room where we had complete privacy. We were such a large group, we filled the entire area by ourselves. Dark to begin with, my mood turned even darker at the snail's pace slow service. Our head waitress was a young lady who was clearly in way over her head. Her name tag said named 'Mhay', pronounced 'May'. Mhay stuttered as she introduced herself and then went over the menu highlights of the evening. That didn't bother me, but her service was abysmal. My particular table was the last table in the dining room to be served. I mean the entire dining room. The other two tables in our group were finishing their desert when we were finally served our main course. As one might guess, the food was cold. Considering how tired I was, I suppose I wasn't very forgiving. I said nothing, but I definitely frowned. I wrote the young woman off as a complete lightweight and left in disgust. Another night like this and Windjammer here I come. One of my pet peeves about cruising is the systematic downgrade of the evening meal as the 'Main Event'. 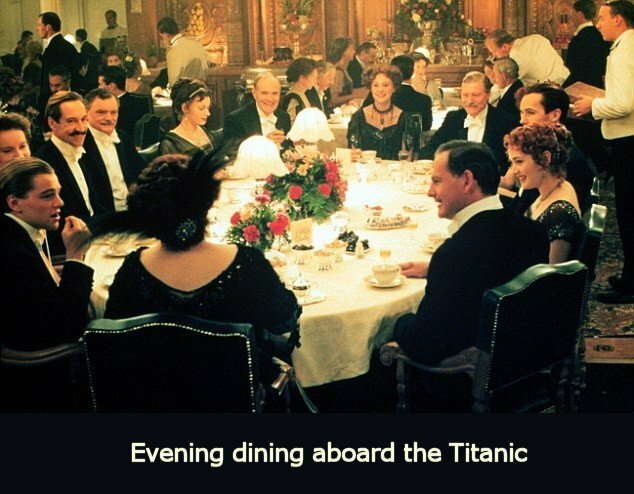 My imagination conjures up the elegance of the dining scene in the movie Titanic. Beautiful gowns, luxurious setting, witty conversation, fine wine, exquisite meals. Those days, my friends, are over for the most part. If you want to recreate this experience, now you have to pay for it. The modern trend in cruising is to promote the Specialty Restaurants. The secret here is that one has to pay extra for a service that originally was an inherent part of the cruise experience. These Specialty Dining Areas are expensive, running anywhere from $50-$100 per person for a meal. Fortunately, thanks to Marla, anyone who books a balcony through her is able to get an evening at a Specialty Restaurant at no extra charge. So, yes, that is nice, but the obvious contrast serves as a reminder that the 'Elegance' once reserved for the Main Dining Room has left the building. The Specialty Dining areas have created several unpleasant changes. To begin with, some of these areas used to be dance floors. The dance floors were sacrificed in order to create separate areas reserved for expensive dining rooms. Another change the cruise lines would rather not discuss is the transfer of their most talented chefs from the Main Dining Room to the specialty restaurants. In other words, these days, in order to get the 'A Team', you have to pay extra. The net result is that the quality of the food in the Main Dining Room has been diminished. There are nights when the difference between the Main Dining Room and Food-Jammer, my pet name for the buffet area, is alarmingly thin. I suppose this is one reason why I prefer River Cruising. In the Viking dining area, I get a delightful re-creation of the Dining Experience of yore I yearn for. The food is delicious, the service is top-notch, and the wine is plentiful. Even better, it is part of the meal. No constant interruptions to pay for another glass of wine on the 'Drink Package'. Best of the all, the camaraderie is special. The people at each table soon become family. Most of the time, the table is filled with laughter and joy, but not always. Sometimes we even cry. The picture below captures the dramatic moment when Emily finally received blessings from her grandmother to marry the young man she was in love with. This is not to say the overall dining experience aboard the Ovation of the Seas was terrible. In truth, it was very pleasant. All I am saying is that in the back of my mind, I knew that it would never match the quality of the Viking dining room or the pre-Specialty Dining Era of Royal Caribbean. In my opinion, another reason was the lack of service... or at least this was my initial opinion. Although one might not readily notice, the best of the wait staff has been transferred to the Specialty Dining areas. I have to assume the 'Left Behinds' are the one who become our Dining Room waiters. As I stared at my barely warm food on our first night in the Ovation dining room, I could not help but think we were being served by the B-Team. Unfortunately, my opinion was reinforced by a similar poor performance at breakfast the next morning and the following night. Did I say anything? Of course not. Like anyone else, I get tired of the incessant complaining, so I did my best to keep my mouth shut. But I continued to frown mightily. My opinion began to change on the morning of Day Three. 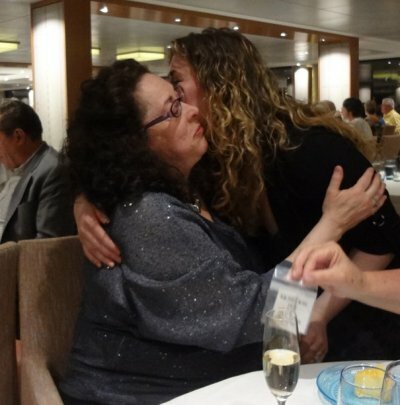 Over the years, Marla and I have been on so many cruises that we have acquired a privileged status. For this blessing, we are in great debt to the many guests who have sailed with us on cruise trips organized by Marla. So, yes, without further ado, let me say a very sincere 'thank you' from both of us! One of our privileges includes a private dining area for breakfast. True to form, our service was unbelievably slow on the first two mornings. My B-Team concept was yet further reinforced. Something different took place the third morning. By chance, Marla and I were seated at Mhay's table for the first time. To begin with, her service was dramatically superior to the service we had received on the previous two mornings from other waiters. What really caught my eye was Mhay's unfailing graciousness. Noting her ubiquitous smile, it crossed my mind that not once had I smiled back. Here was a young lady who exuded unfailing warmth and courtesy despite absolutely no reciprocal kindness on my part. Now that I had observed evidence that contradicted my initial opinion of Mhay, I watched her carefully out the corner of my eye. I noticed a woman at another table rebuke her in a strong voice for forgetting an order of toast. I was impressed when Mhay never stopped smiling. She quickly apologized and sent her assistant in search of the missing toast. From the look on the young man's face, I think he was the one who forgot the toast. I was impressed by Mhay's poise. Knowing how poorly I myself handle criticism at times, I nodded in quiet admiration at her patience. To be honest, I was also a little ashamed of myself. Where were my manners? On the spot, I made a quiet vow to show more respect. It might help to know that another of my pet peeves is watching cruise passengers abuse the wait staff. Over my many years of cruising, I have observed on occasion some pretty ugly incidents. I have witnessed public tongue-lashings that make me cringe. The worst incident took place in 2008. I discovered a woman from our group had a serious drinking problem. One night at the Captain's Reception there were free drinks. The waiters roamed the room serving drinks to anyone and everyone. This woman, still in her 20s, was so desperate, she crowded up right up to the bar area where the waiters came to pick up their next trays full of drinks. Watching the woman pluck two drinks at a time as the waiters came by, I was darkly fascinated. The girl was in a hurry. She guzzled down one drink after another. Chug chug chugalug. And then it happened. The woman was so determined to get as many drinks as possible that she actually blocked access for the waiters! She stood in the walkway to force the next waiter to stop and serve her. The problem was other waiters were coming from behind her to drop off the empty glasses and to refill their trays. When one of the waiters politely asked her to please move just a little bit so he could get through, the woman became unbelievably abusive! "Who the hell do you think you are to tell me to move?? Listen, mister, you are here to serve me, do you get that? I will damn well stand wherever I want to!!" The venom and filth that spewed from her mouth played like the scene from the Exorcist where the devil speaks through the kid. Hmm. Now that I think of it, maybe this woman was possessed too. That would explain a lot. Watching her make a scene in open-mouthed horror. I nearly died of shame at the thought this nasty woman was part of our group. From that point on, one by one, the poor waiters were terrified to walk near her. I noticed they went ten feet out of their way to find another opening to pick up their drink trays. To their dismay, it did them no good. The woman simply shifted and moved over to the new delivery spot, barking at them for inconveniencing her. I cringed anew as she berated the ship's wait staff knowing full well these people could not retaliate for fear of losing their jobs. Many of the staff people come from very poor countries; they have family who depend on their salaries for survival. Just because they aren't wealthy like the American cruisers they serve doesn't mean they don't have feelings. They are human beings too, right? It can't be easy for these people to take this kind of abuse and still try to be friendly. How do they do it? Beats me. I know I am not capable of holding my temper. In fact, I almost interceded. No one enjoys seeing people abused who can't fight back. I don't hit women, but I admit I was so mad I felt like slapping her. Thank goodness the bar manager came over to deal with her. Mortified at my thoughts of violence, I left the party early. Of course I wasn't going to hit the horrid woman, but how did I ever sink so low to have the fantasy? This was certainly the worst incident, but it was not the last. I could not take my eyes off this seagoing Cruella de Ville for fear of what she might do next. Behaving like a royal brat, her rudeness was unacceptable. From that point on, I was ashamed to be associated with her. I kept my distance lest I lose control and tell her what I thought of her behavior. In retrospect, maybe that's exactly what I should have done. The incident ruined the trip for me. I felt like a high school principal who discovers one of his kids has senselessly vandalized another school's mascot. My guilt at bringing this filth-spewing black hole of misery on board the ship troubled me deeply. I believe that insulting a member of the wait staff who is totally unable to speak up in their own defense is tantamount to kicking a helpless dog. I suppose my guilt over this incident explains why I have always had a heightened respect for the people who serve me. Truly my heart goes out to anyone who is forced to bite their tongue while being subjected to harsh criticism. Whether the criticism is warranted or not, these people still deserve to be treated with respect. The final test of a gentleman is the respect he shows to those who can be of no possible service to him. Charlie Chaplin spoke of the importance of showing courtesy to our 'inferiors'. I get what he is saying, but I am very uncomfortable with his wording. What makes a person inferior or superior to another? I suppose my preoccupation with this issue comes from being the poorest kid at a rich kid's school for 9 years (I attended on a scholarship). I can attest to the embarrassment of feeling 'outclassed' by a few of my wealthy classmates due to their airs of social superiority. There was never any overt incident, but I was aware of snide whispers and snickers behind my back. 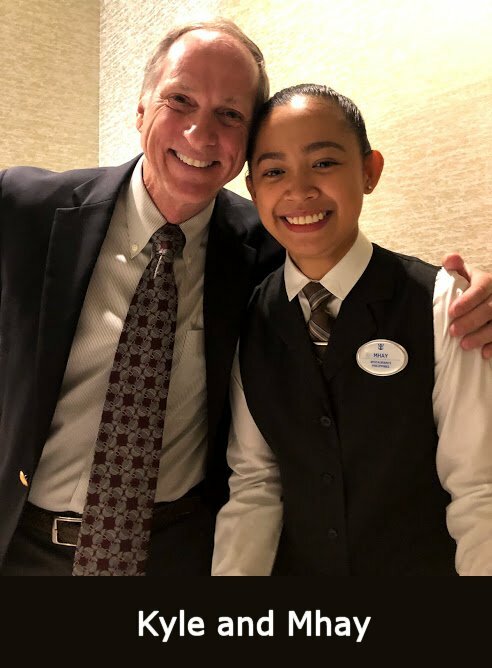 Yes, it is true that I occupy a loftier station in life compared to Mhay, the young Filipino lady who served me Eggs Benedict in the morning and Norwegian Salmon at night. But does that make me 'superior' to her? Wrestling with the concept of 'inferior', I recalled an incident in college. Occasionally I was hired to serve drinks to wealthy alumni at swanky on-campus get-togethers. My mother was so poor, she was unable to contribute to my college education. Considering my father had disowned me long ago, thank goodness I received a scholarship to attend college. However I still had to pay for my own room and board. Consequently I signed up for every work-study job I could find. If that meant pouring wine or mixing drinks on a Saturday evening for these wealthy men, so be it. Did this mean I was 'inferior' to these people? Not in my mind. I was simply holding down a necessary job during my slow climb up the career ladder. Still, I do recall feeling a little snubbed by the fact that I was basically invisible. My favorite moment came when one of the men actually spoke to me as I mixed several drinks not just for him, but for a couple buddies sitting back at his table. He began the conversation by saying he needed four hands to carry all the drinks back. I smiled and said he was welcome to borrow my two hands if that would help. He smiled and said he would appreciate that. "Are you a student here, young man?" "Yes, sir, I'm a sophomore at Hopkins." He nodded and smiled. While I prepared the drinks, he began to reminisce about his college days. The man, somewhere in his 60s, commented that he had performed similar duties back when he was at college at Johns Hopkins. With the Depression Era paralleling his college years, he had to work his way through college just like me. He said all he could think about was the need to study as hard. His biggest fear was being as poor as everyone else back at home. Noting his fine clothes and air of prosperity, he must have worked very hard indeed. I liked listening to him. I figured if he could do it, then I could too. 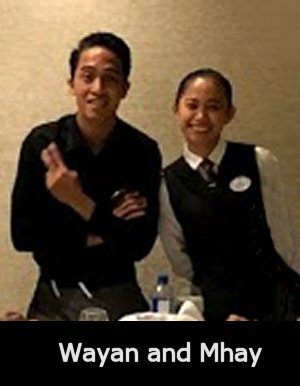 It was that memory that dominated my thoughts as I watched Mhay fulfill her duties at my table and other tables as well. The roles had been flipped and the shoe was on the other foot. I was the old guy accompanied by experiences of yesteryear. I watched carefully as Mhay displayed perfect manners and carried herself with dignity. It suddenly occurred to me that there might be a lot more to this young lady than meets the eye. Curious, I asked her a question. "Mhay, have you been to college?" "Yes, I majored in hotel hospitality in Manila." Giggling a bit, she added, "I also have a minor in dance. You would be surprised. I am a very good dancer. Too bad I'm so short." I looked at Marla and she looked back at me. We were both kind of surprised. This girl's appearance was so youthful, she could have passed for a 15 year old high school student. Instead she was a college graduate. 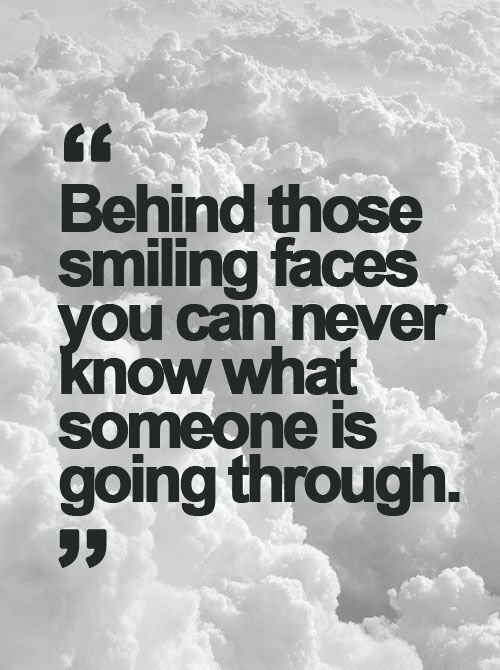 As my perceptions underwent a rapid change, I began to smile. This young lady was no different than me at an earlier stage of my life. I thought about that for the rest of the day. Now another poignant memory crossed my mind. I recalled a cruise to the Virgin Islands back in 2011. This was our 13th cruise aboard a Royal Caribbean. Now that we had become 'Diamond' members, this was the first cruise where the drinks became free at Happy Hour. Due to our elevated status as frequent Royal Caribbean passengers, I was told I could visit a special lounge reserved for Diamond members. Marla was usually busy getting dressed for dinner, shower, makeup, etc, so I went alone with the understanding that I would return with a drink for her. Don't ask me why, but for some reason, I was the only person who took advantage of the opportunity. I would bring a magazine along and sit down by myself. I would read for about 30-40 minutes as a lady named Martina, 28, kept me well supplied with glasses of wine. Since I was her only customer, Martina visited frequently. Even though we were the only two people in the room, we maintained our Passenger-Waiter roles for several days. During this time, I was struck by Martina's poise. There was a real confidence about the woman that belied her station as a wine server. One day Martina looked at what I was reading. She commented on a cruise-related article I was reading about the Danube River. "Serbia is where I am from. The Danube forms our northern border." I smiled and said the article had pointed that out. Martina nodded. I think she was a little homesick being stuck here in the Eastern Caribbean. She said, "Many battles dating back to the Roman Empire have been fought along this important river." That broke the ice. Pleased at the mention of the Roman Empire, one of my favorite subjects, I asked why Romania is named after Rome and not Serbia. From there, I cautiously asked about Serbia's role in the Balkan Wars and wondered why it is considered the Bad Boy of Europe. Fortunately, Martina was not offended. She answered my questions candidly. I was not only impressed by Martina's grasp of history, but her ability to express herself in a language that was clearly not her own. Curious, I asked, "How languages do you speak, Martina?" Taken aback, I asked her another question. "Martina, listening to you, I get the feeling you are a college graduate." "Yes, I am. Thank you for asking. Not only that, I have a Master's degree in Engineering." My mind went racing. This woman is an engineer? My father was an engineer. He once told me he had a choice of four jobs straight out of college. So what is she doing serving me wine? Alarmed at the dissonance, I said, "With so much education, Martina, why on earth are you working on a cruise ship?" With that, the floodgates opened. I had accidentally hit on a very raw nerve. "Right now in Europe, jobs are hard to come by, especially in my field. In the part of the world where I come from, women are not respected as engineers. Or maybe they just aren't respected period. Here's an example. Mileva Maric was the first wife of Albert Einstein. She was born in my town back in 1875, so I know a lot about her. There are rumors that Mileva Maric was just as brilliant a physicist as her husband. It is said that she helped him formulate his theories, but you would never know that. History has completely forgotten Mileva Maric. That's the sort of attitude I come up against repeatedly." I was taken aback by the bitterness in her voice. In as gentle a voice as I could summon, I replied, "It is obvious that you have a very sharp mind. So, given your extensive training, what made you decide to work on a cruise ship?" "I got turned down for one job too many and ran out of patience. Feeling a kind of hopelessness set in, I decided to step back and accept this temporary job for a year. It gave me the chance to see the world, stop being so angry, and think about my future. My time will be up soon and I will return home and try again. Hopefully I will finally catch a break." I nodded in appreciation, then decided to probe a little further. "Forgive me, Martina, for being so nosy. Incidentally, there's something bothering me." "I feel humbled to discover you have more education and know more languages. Therefore I feel very uncomfortable expecting you to serve me glass after glass of wine when it is clear you deserve a much higher station in life. We should at least be equals. Or if there was more justice in the world, maybe I should serve you the wine." Martina smiled. "Please don't feel that way. In all the time I have worked here, you are the only guest who has taken the time to inquire about me. To everyone else, I am simply the poor, backwards Slavic slave girl forced to do peasant work because that is all they believe I am qualified to do. I have enjoyed sharing my secret with you. And I don't mind bringing you wine. Your respect means more to me than you will ever realize." Still feeling very awkward, I nodded in acknowledgement. "I appreciate what you have said. Hey, Martina, will you do me a favor?" "My first name is Rick. Would you be willing to call me by my first name for the rest of trip?" She grinned and held out her hand. "Yes, of course. I am glad we have had this talk, Rick." Still out of sorts, I made sure to get Marla's drink to take back to the room, then left shortly after. I was upset over misjudging this woman so badly. It cannot be easy to be treated like a menial. I've had enough experience with that situation to know the feeling. Respect means everything in this world. Fast forward back to my Ovation of the Seas New Zealand trip. By coincidence, I had an odd encounter with someone else. Taking renewed advantage of my Diamond status, I made sure to arrive promptly at the Diamond Lounge every afternoon for my 5 pm dose of Chardonnay. There was a waiter named Benedict who had been unusually attentive. The drinks are free and of course service without the expectation of tips is part of the package. Although I am aware the waiters are paid to take care of me, I prefer to tip any waiter who goes beyond the call of duty. I usually wait till the end of the trip. This is how I judge the sincerity of their efforts. However, in Benedict's case, I broke my rule. Since this was a long 13-day cruise, I decided to hand him half my usual tip midstream. Benedict's response caught me totally off guard. "Thank you very much, but what is really important is your recommendation on your passenger evaluation form." The money was an afterthought to him. Making direct eye contact, it was the urgency in his voice that caught my attention. My money was nothing compared to a positive recommendation. What was it about this cruise ship job that made it important to solicit my approval in so bold a manner? Obviously Benedict understood my positive words were a major form of job security and perhaps promotion. With thoughts of what Benedict had said fresh in my mind, I decided to re-evaluate my opinion of Mhay. The next morning, I told the hostess to please sit Marla and me at Mhay's table for the fourth day in a row. Having discovered Mhay was a college graduate, I wasted no time resuming our conversation. "So, Mhay, how old are you?" "Really? I'll be darned. I would not have guessed that. I thought you were younger. How long have you worked on this ship?" "I would not have guessed that either. Was this your first job out of college?" "Yes, sir. In fact, I just got my first big promotion." "Good for you, Mhay. What was your promotion?" "After five years, I was recently promoted to Head Waiter. The first night of your cruise was also my first night being in charge of my own table." I blinked in surprise. Does it really take FIVE YEARS for a college graduate to become a head waiter? The implications were unsettling. For one thing, it suggested a very low turnover rate. If so, then these must be highly coveted jobs. Yuck! The thought of making a career out of serving people food or drinks on cruise ships made me shudder. How do they do it day in and day out? Are jobs really that difficult to find in other parts of the world? In addition, I had just been given the explanation for why Mhay had done so poorly at the start of the trip. Obviously Mhay had the first night jitters. Nor did she have the expanded routine down quite yet. I assumed she was so slow taking our orders that the other waiters forced to go to the back of the line. "So you are new to this position. How has it gone so far?" "The first two nights were pretty rough, but I think I am improving." "Yes, Mhay, you are definitely improving. I had no idea you were a rookie, but you are clearly catching on fast. I have seen a big difference between the first two nights and the last four. You should be very proud of yourself." Marla nodded in agreement. She knew my compliment was sincere because we had both noted a marked improvement. As I chatted with Mhay some more, I could not help but chew myself out for underestimating this young lady. I had the same exact feeling of embarrassment as I did eight years earlier with Martina. After Mhay had badly bumbled her way through the first two meals, my original opinion was that Mhay was in way over her head. I dismissed her as lucking into the job because she was excessively cute and left it at that. Now I knew better. Mhay had earned her way up through the ranks. This young lady with the world-class mile had so much more talent than I ever imagined. From that point on, I always made a point to speak with Mhay when the opportunity arose. Not only did she enjoy the attention, I think people noticed. One morning, the hostess, obviously a friend of Mhay's, greeted me at breakfast by saying my daughter was waiting for me. Considering the vaguely impertinent tone, my wife had quite a bit of fun teasing me over that one. On the final night of the trip, one of the waiters sang a Sinatra song over the dining room sound system. On a hunch, I got up and asked Mhay to dance. I knew she would say yes. After all, no girl can resist Sinatra. Mhay had told me she was a dance major, so let's see what she can do. Once Mhay recovered from the unexpected shock of finding herself partner dancing in front of the whole room, she followed my Swing dance leads like a shadow. Not only that, she turned out to be a born show-off. Like many Asian women, Mhay is exceedingly modest. However, I suppose Mhay understands she is easy on the eyes and marvelously adorable. 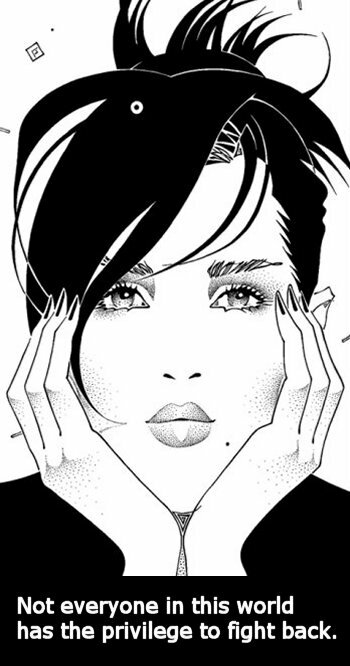 Given the chance to shine, she dropped her modesty act and put on quite a show. Smiling and giggling with delight, I could tell she appreciated her star turn. Turning her this way and that, whenever Mhay had a free hand, she made sure to wave to the people at our table. They in turn rose and clapped for her. As for me, it was fun bringing her some much-deserved attention. I doubt the waiters on this ship get much attention. To most people, they are just nameless servants from some poor country in some remote part of the world. But I have to come to realize the people who wait on privileged people like myself are no different. They have ambition, they have dreams. The only difference between them and me is that I have been given many opportunities, many lucky breaks. But does that make me superior? Of course not. It simply makes me exceedingly fortunate to have been born a white male in the United States, land of prosperity and opportunity. There is a question I ask myself. Were we to trade places, would I be able to smile like Mhay day in, day out despite a total absence of recognition? Would I be able to hold my tongue and not lash out as I have been known to do? Throughout the trip, Mhay displayed constant warmth despite only occasional encouragement. I respect Mhay so much for that. When we parted, my final words to Mhay were to keep working hard. I explained her spirit and warmth were impressive and I expected her to go far in this world. I also thanked her for reminding me to stay humble. Because people were waiting, I had to be brief. Therefore I doubt that she knew what I meant, but it did not matter. I appreciated that Mhay had delivered a valuable message. She reminded me who I wanted to be: a person who treats others with dignity no matter what their station in life.